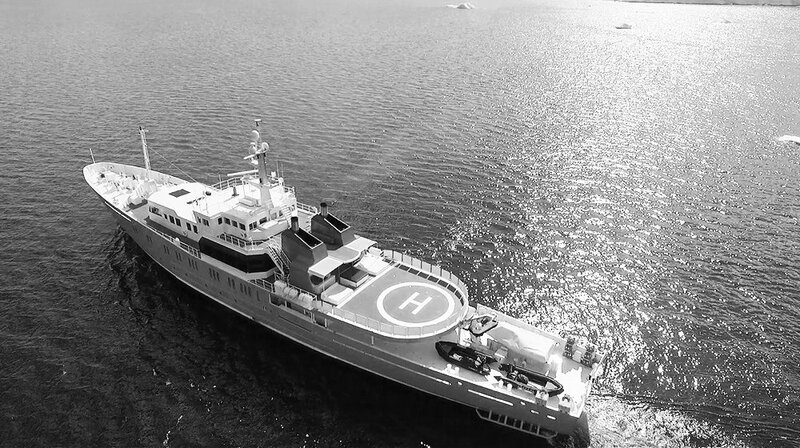 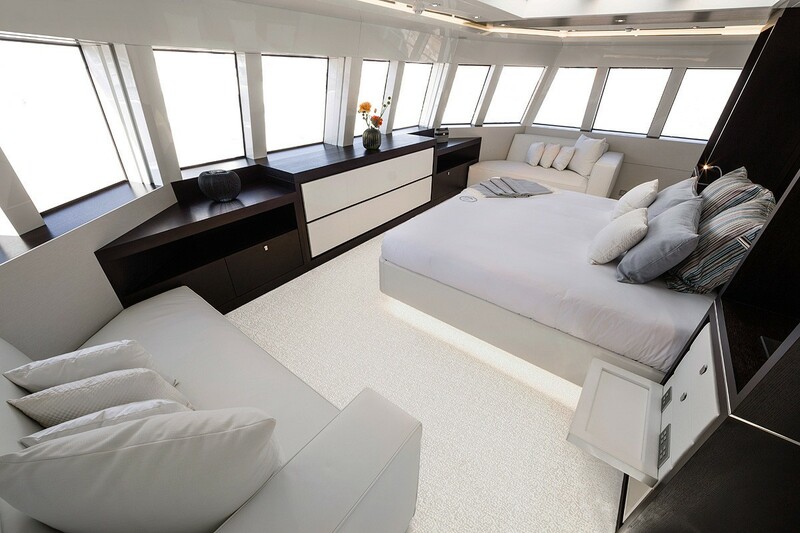 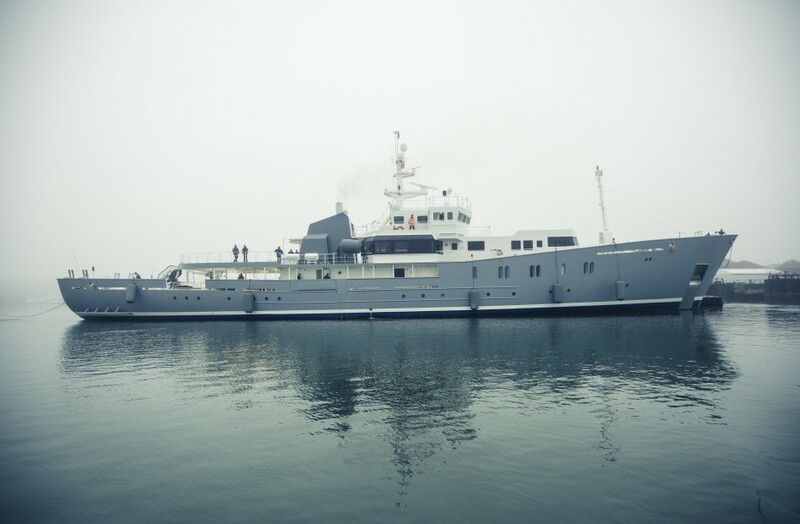 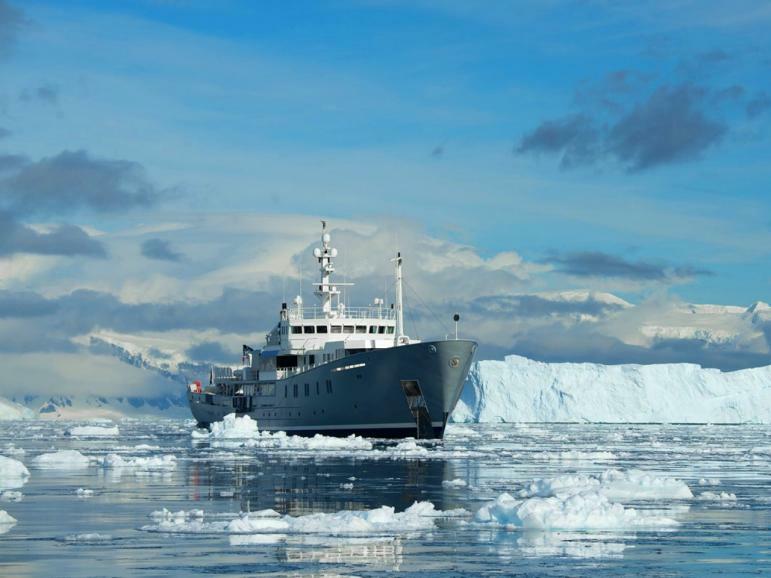 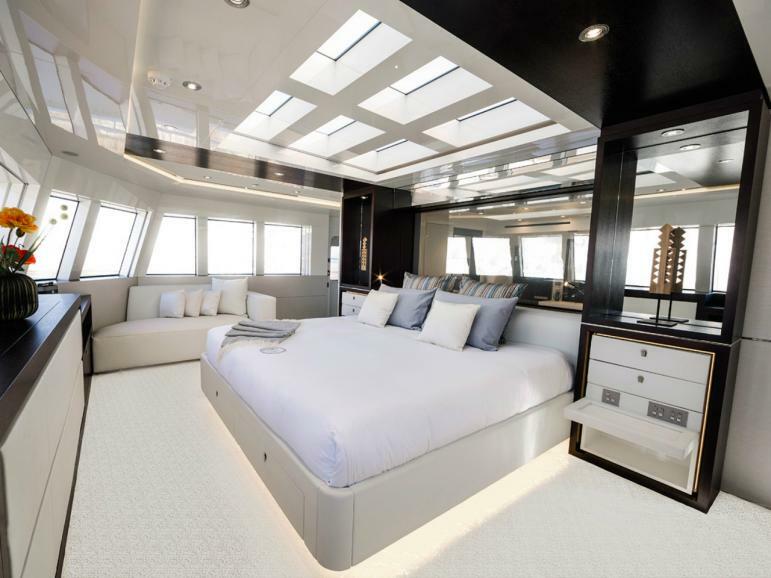 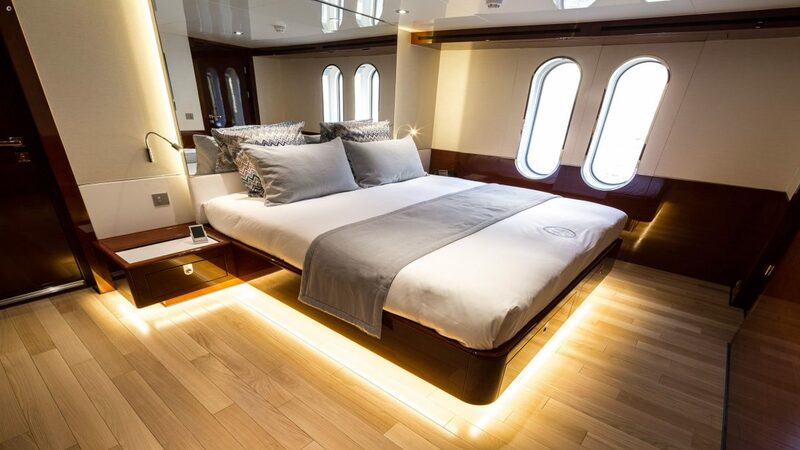 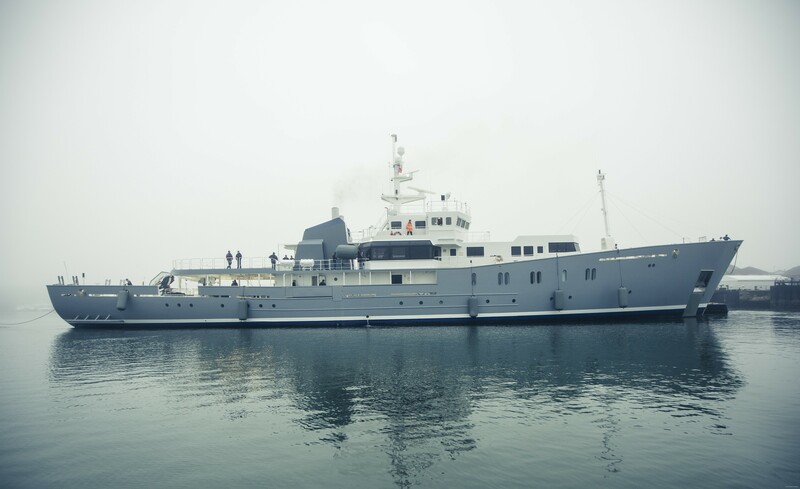 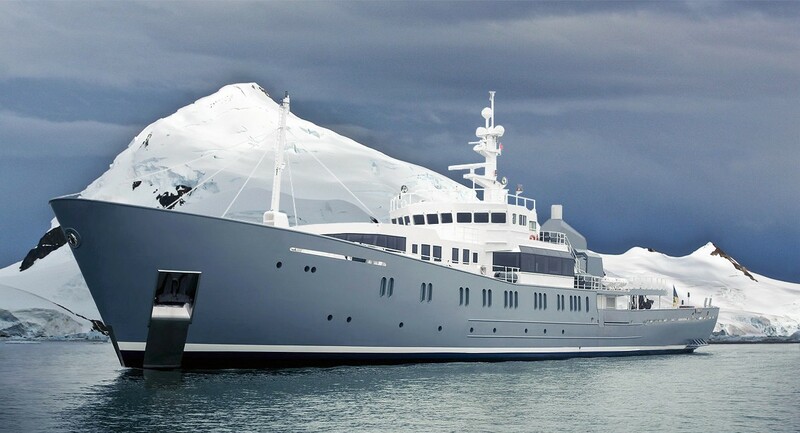 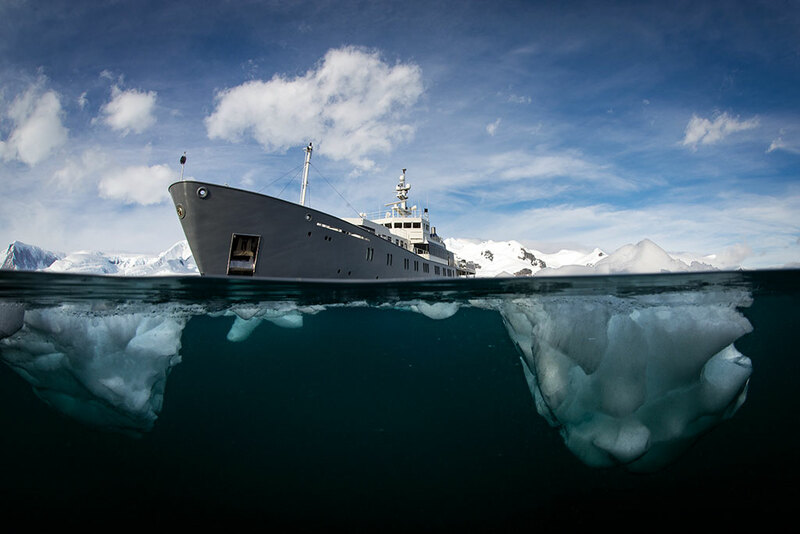 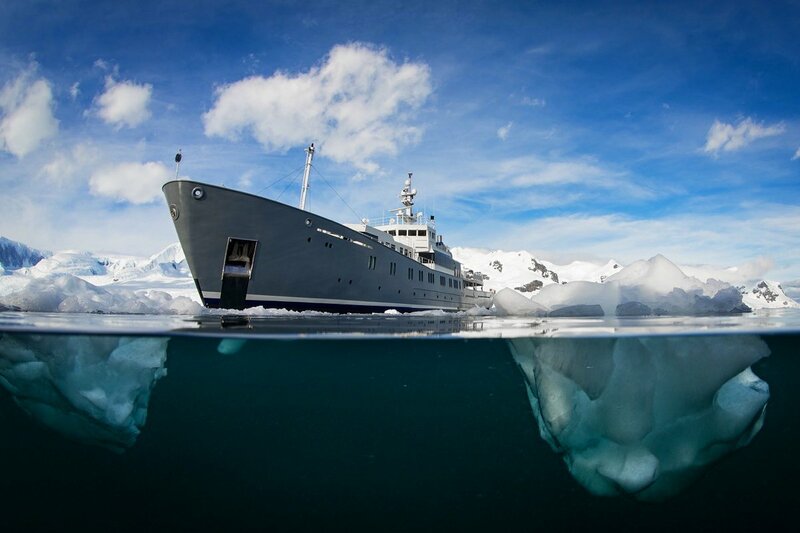 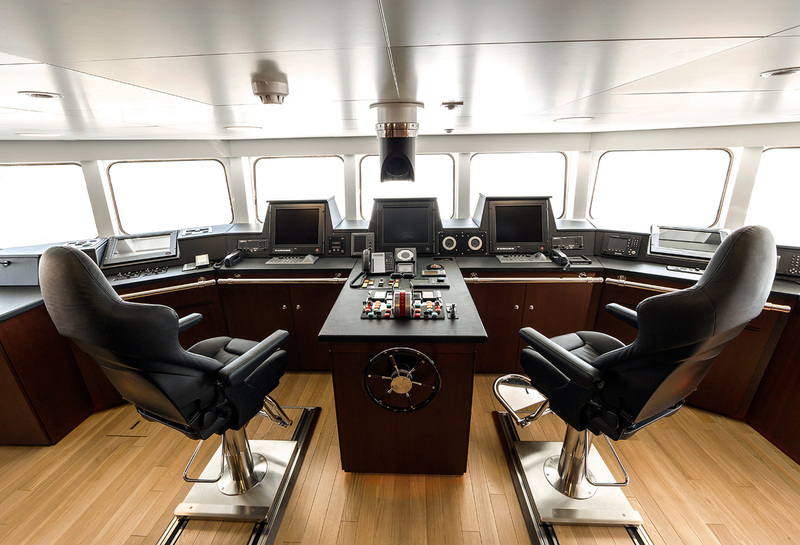 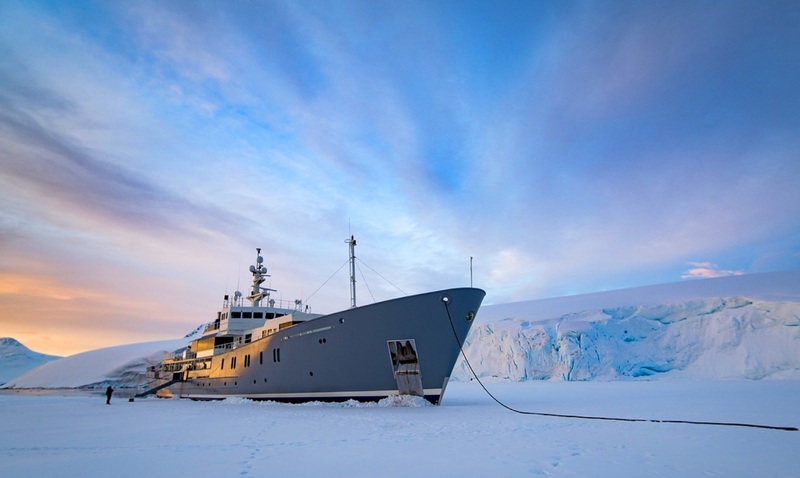 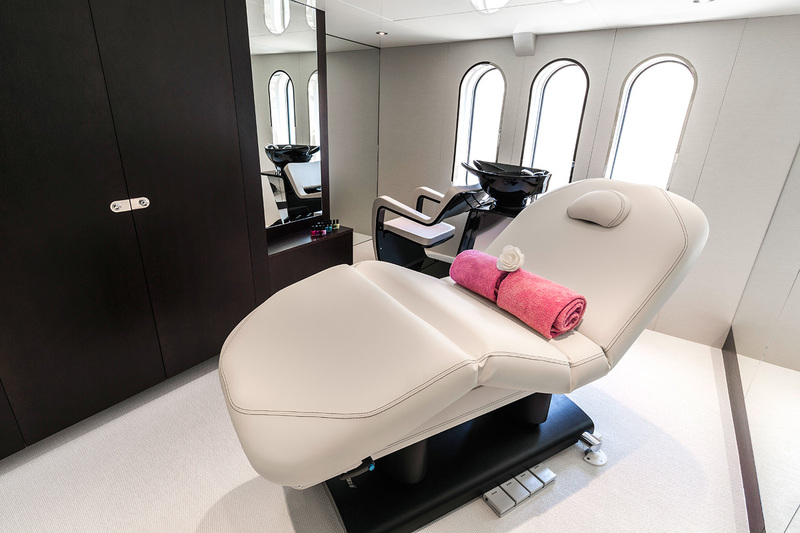 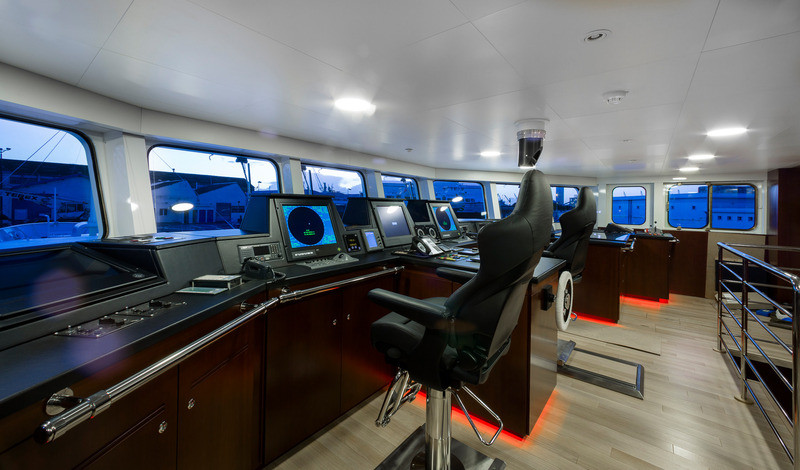 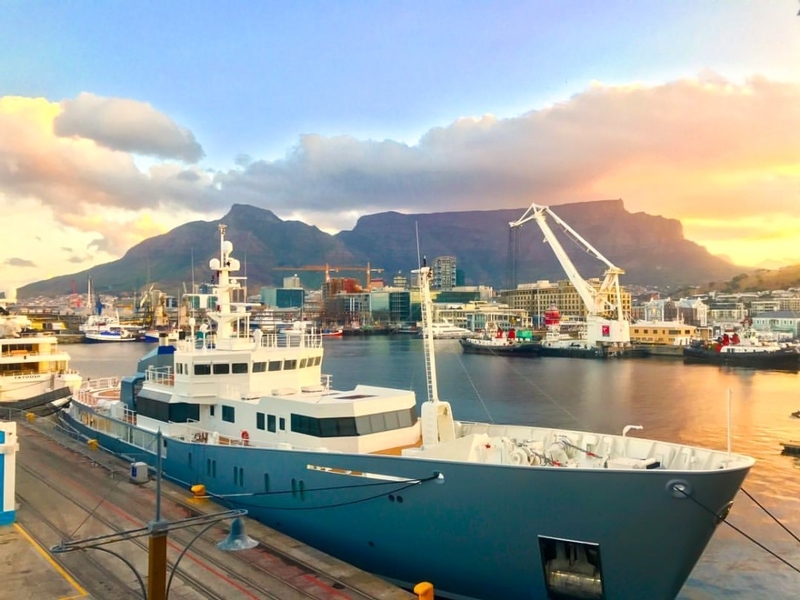 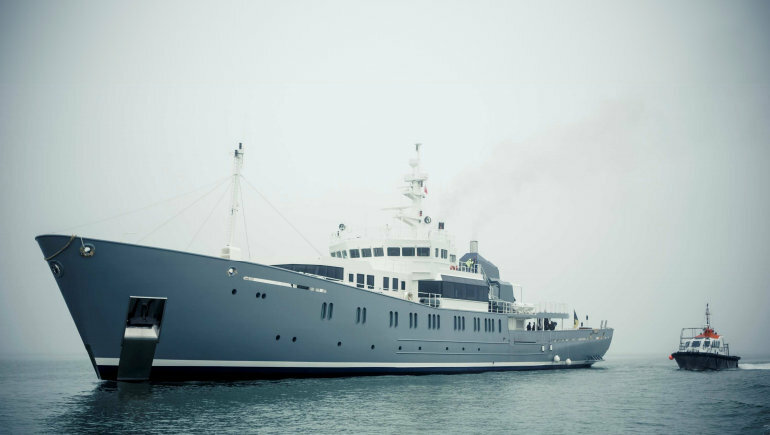 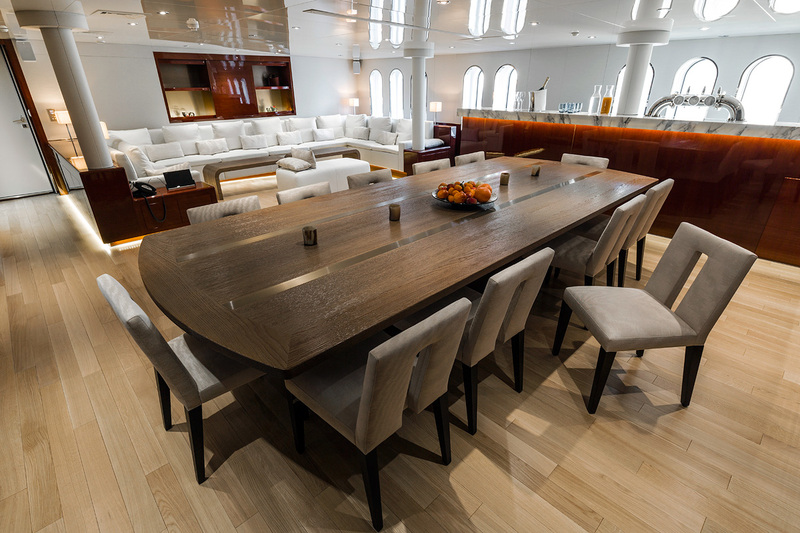 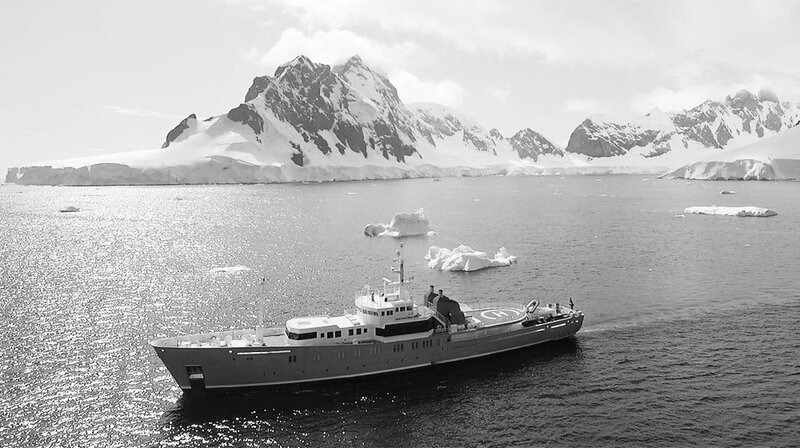 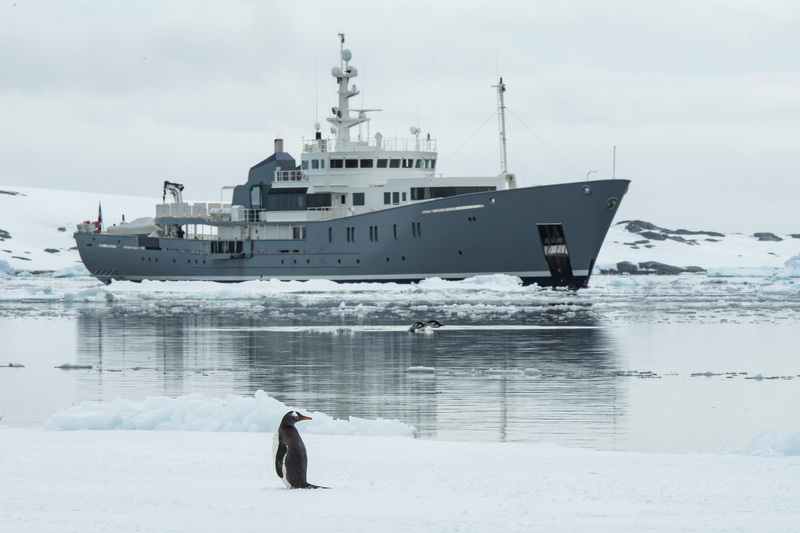 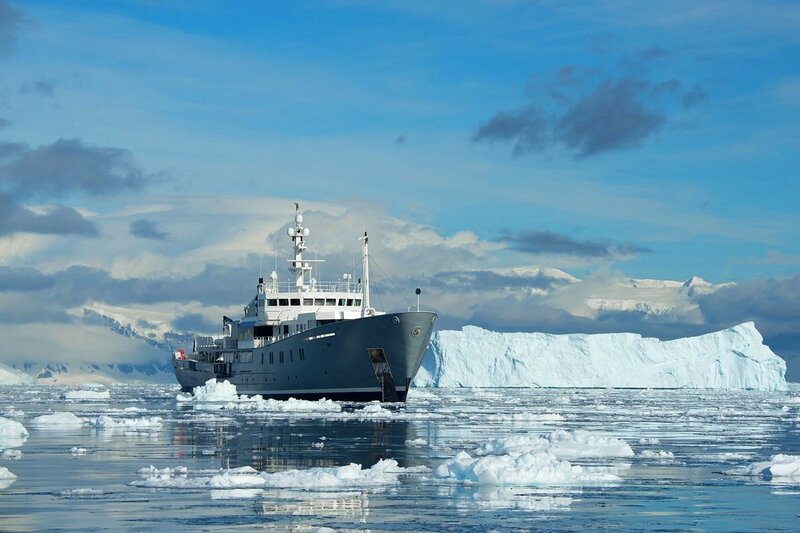 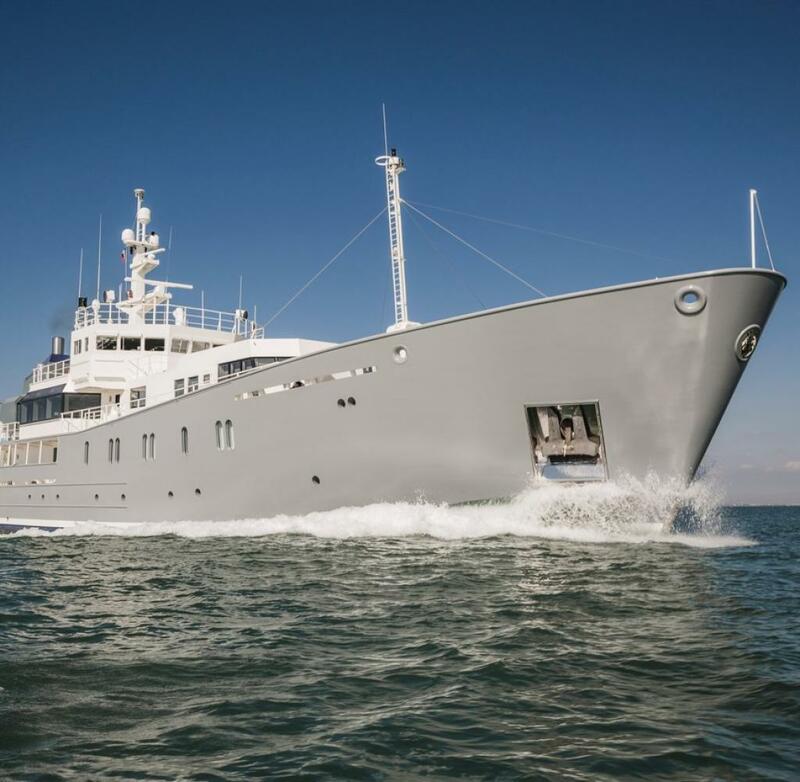 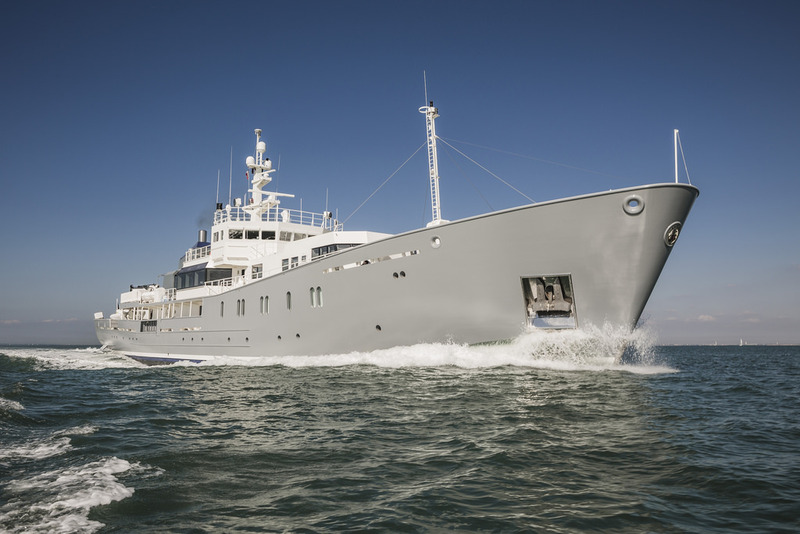 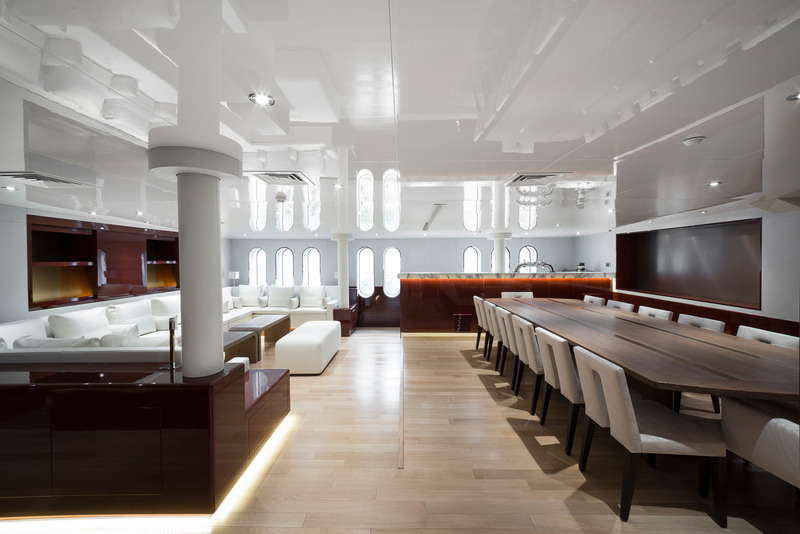 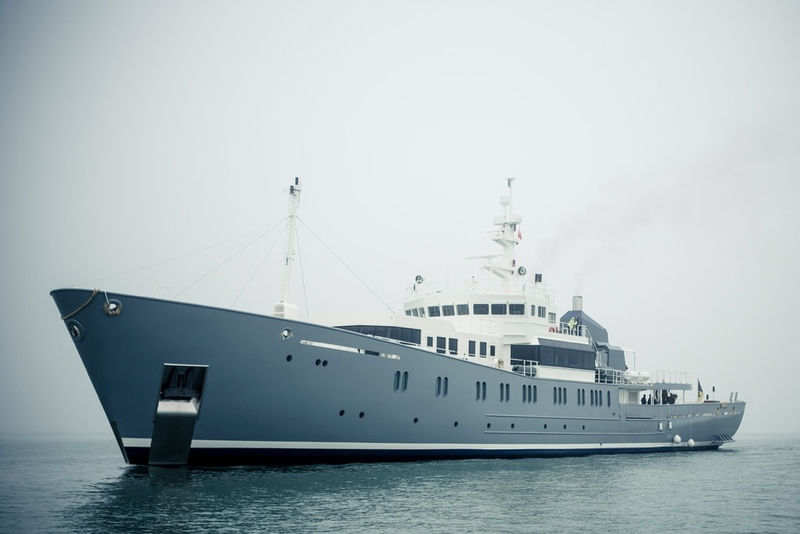 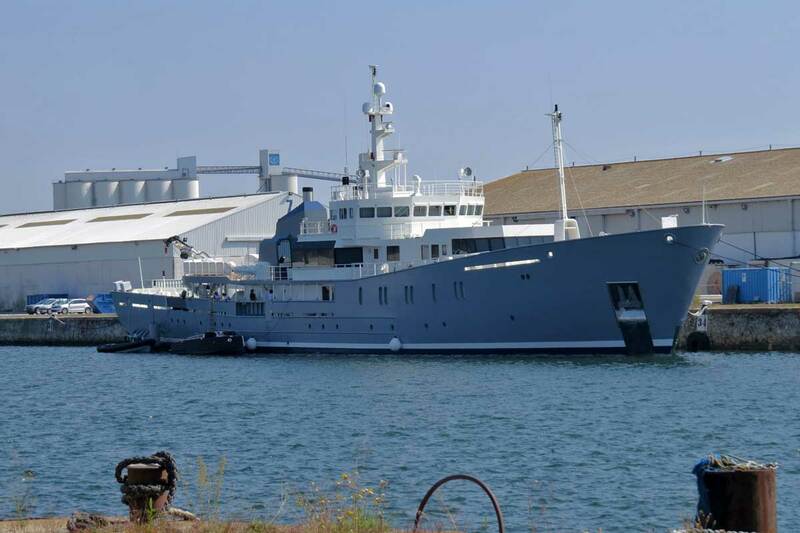 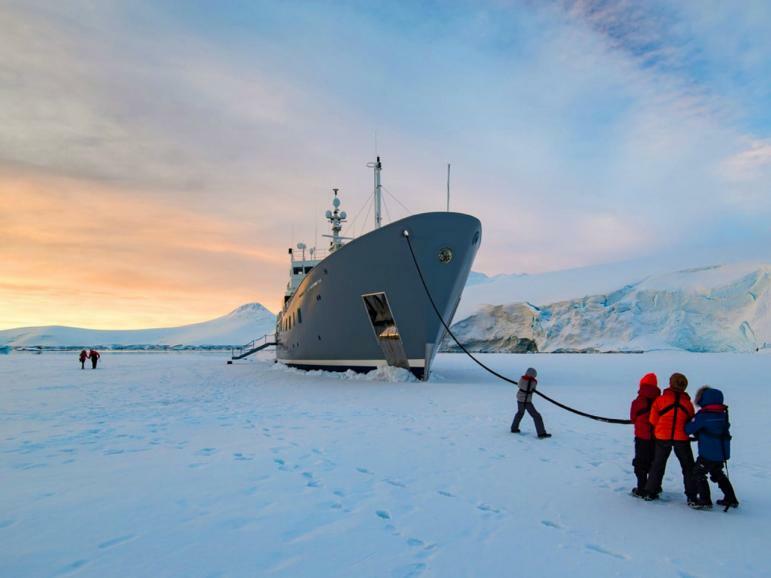 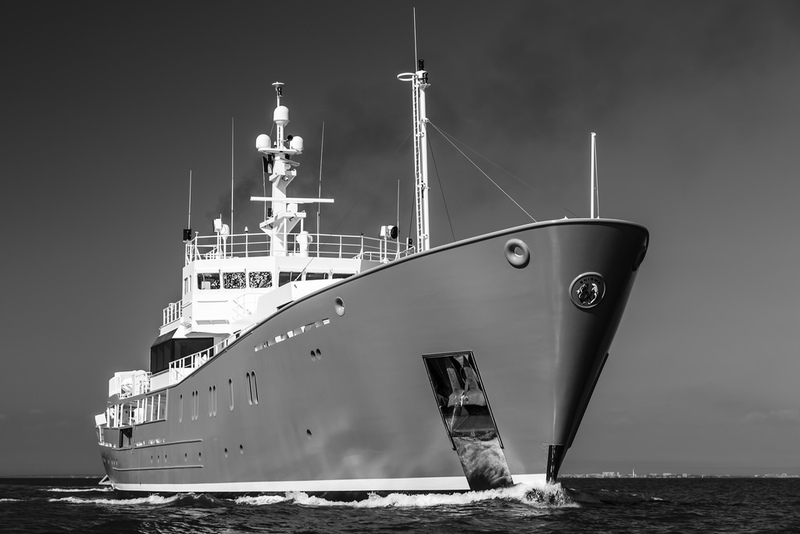 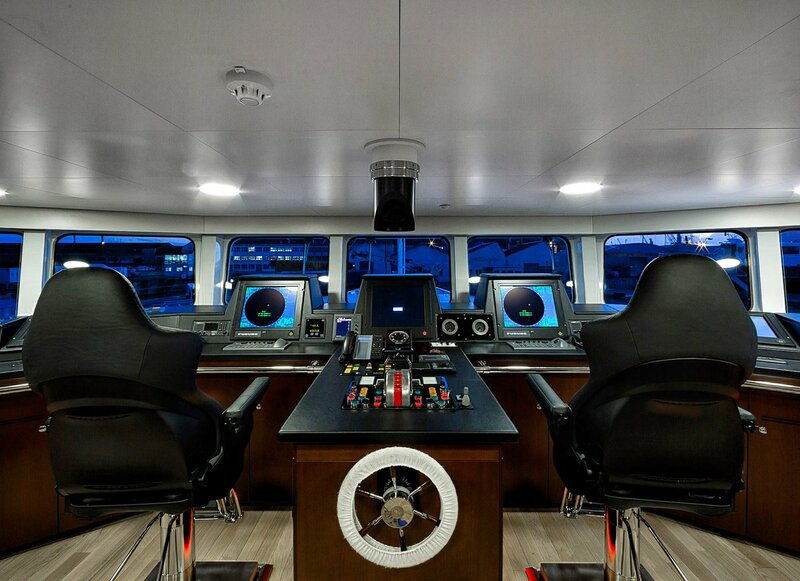 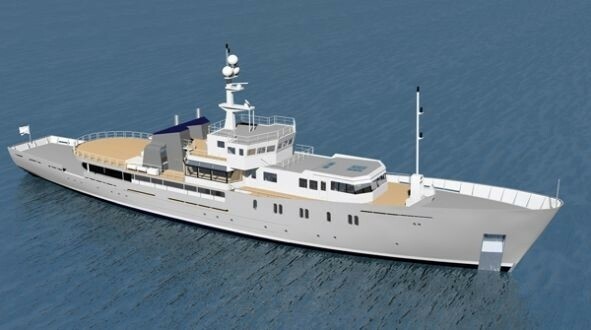 ENIGMA XK (ex Norna) is an impressive 71-metre ex-fisheries vessel converted into a luxury expedition motor yacht by the Atlantic Refit Center, featuring an elegant yet industrial and luxurious look. 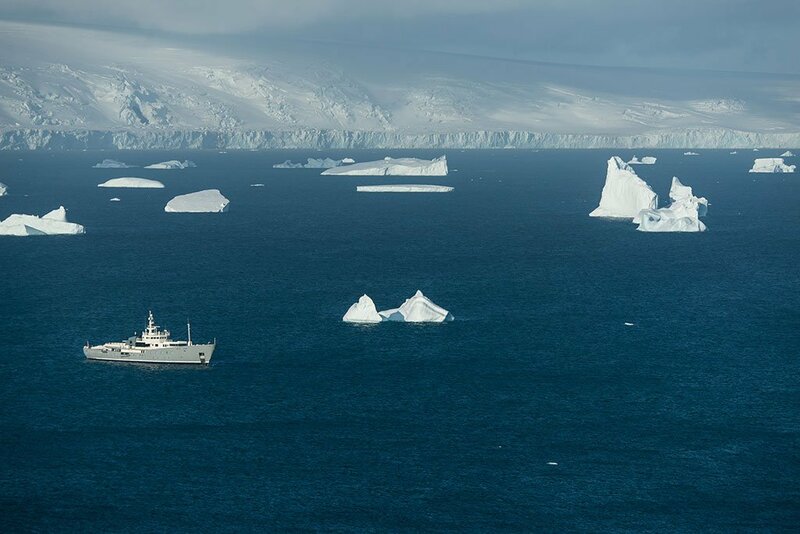 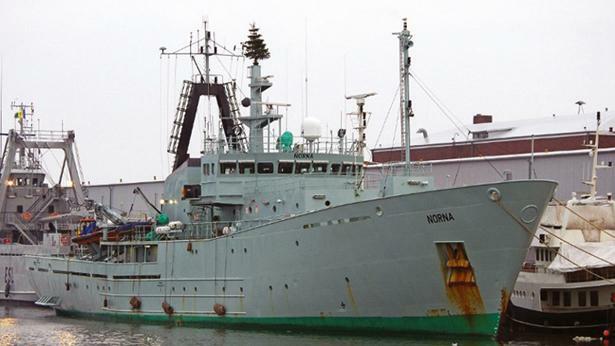 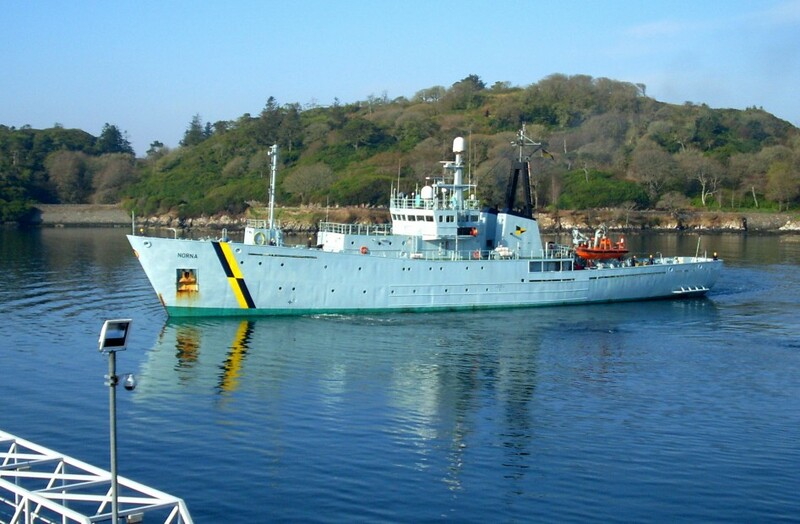 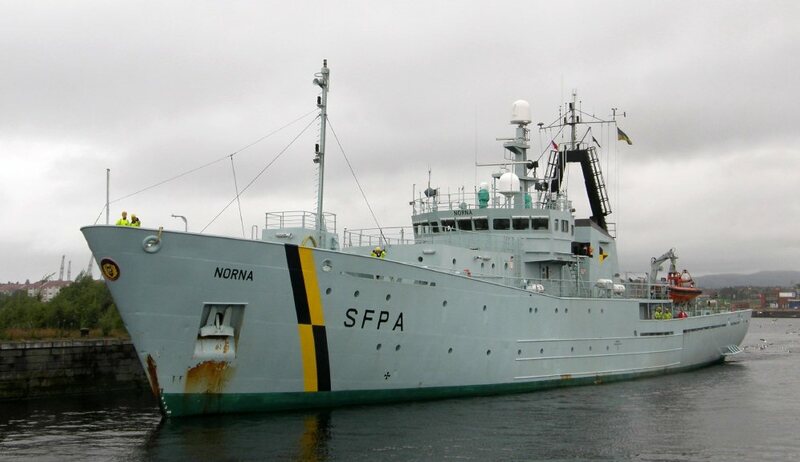 She was originally built in 1988 and patrolled the cold waters of the North Atlantic for the Scottish Fisheries Protection Agency. 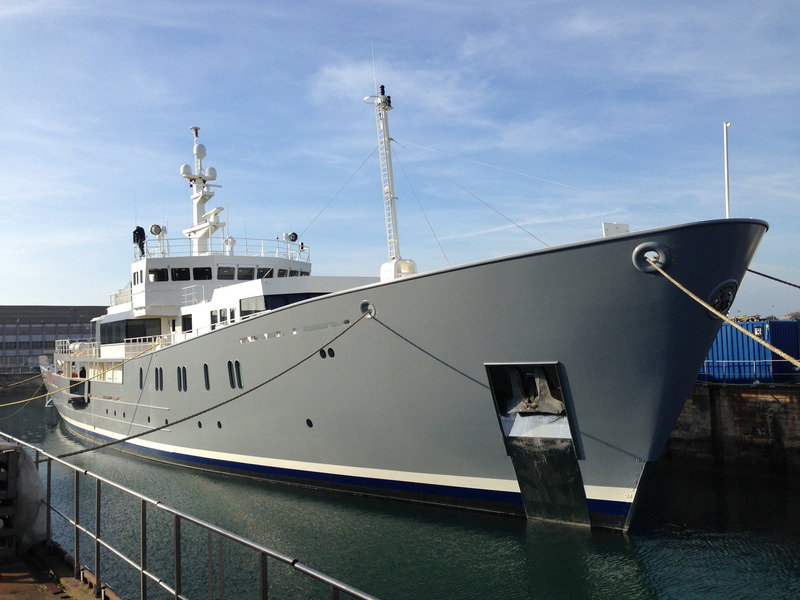 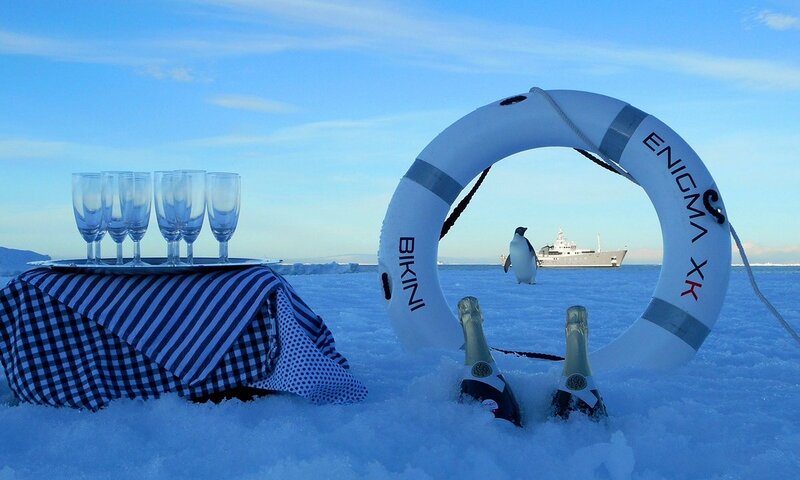 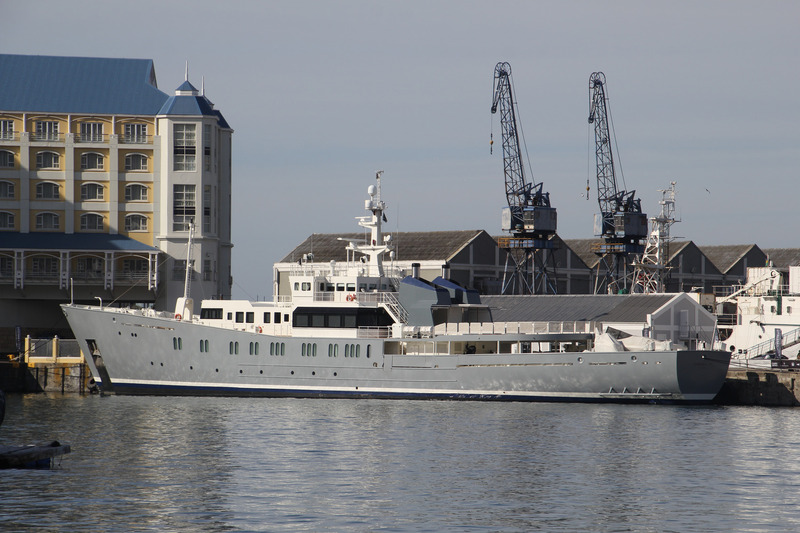 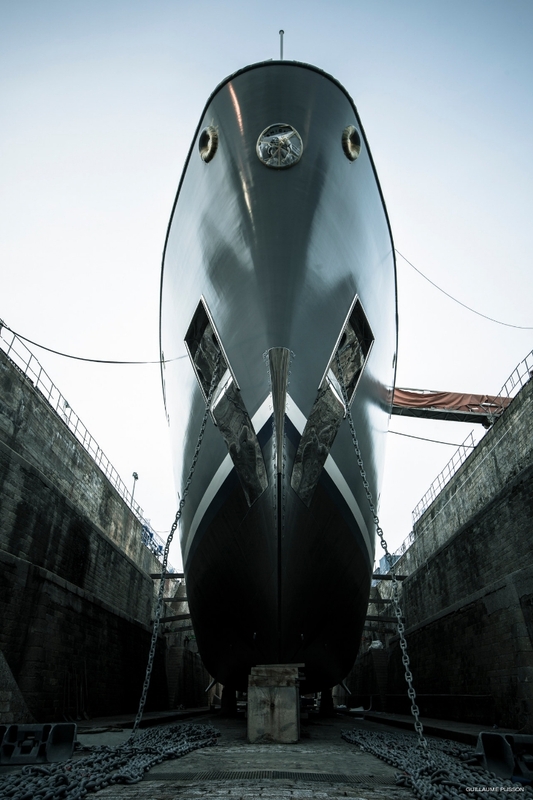 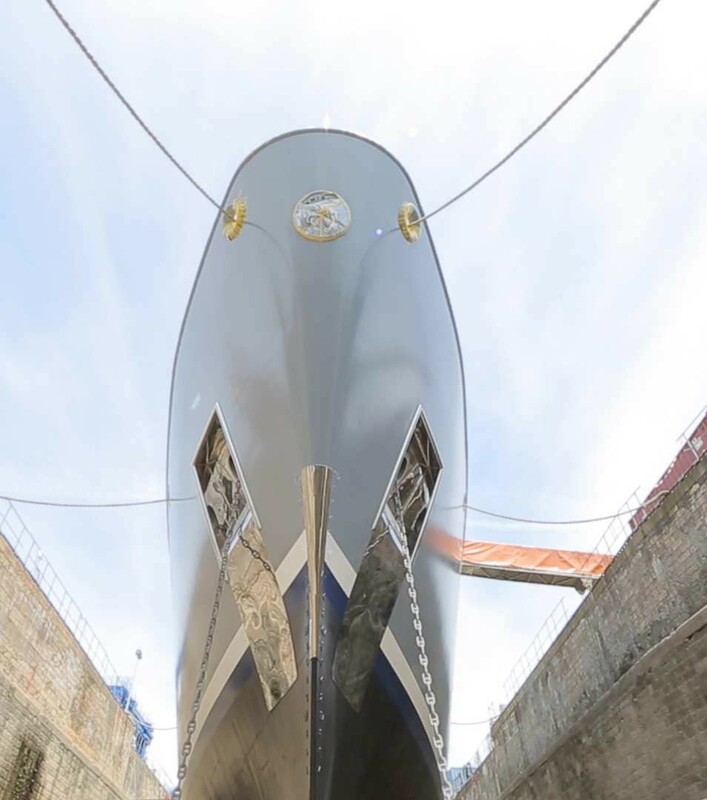 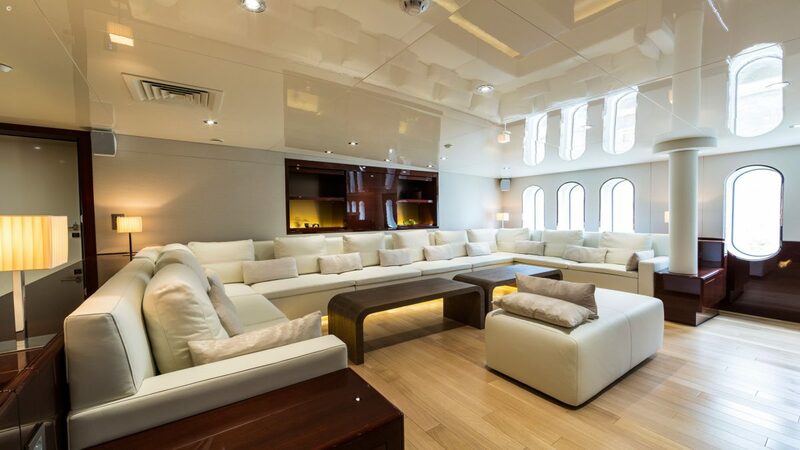 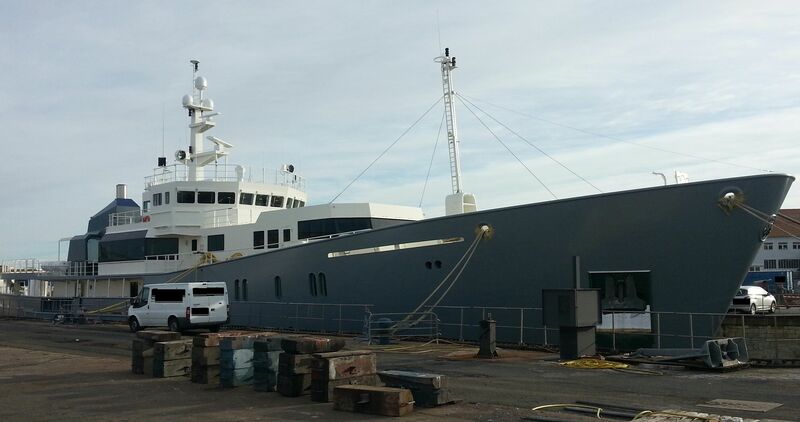 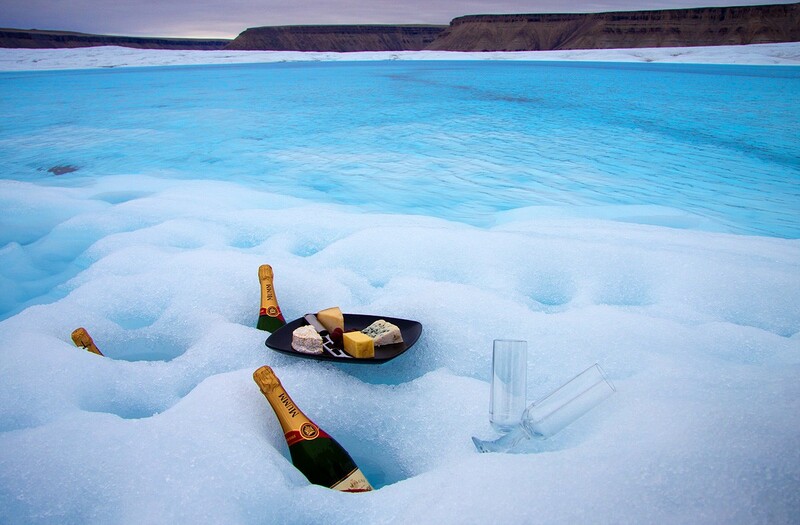 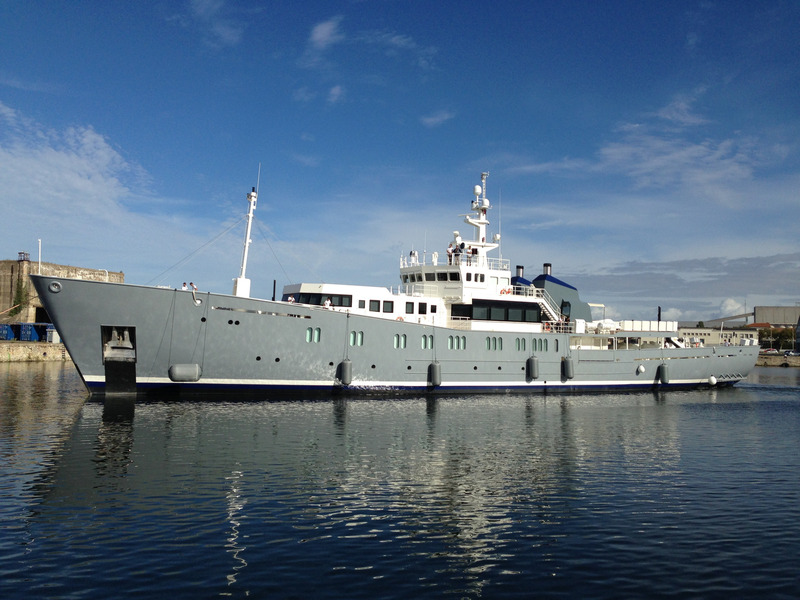 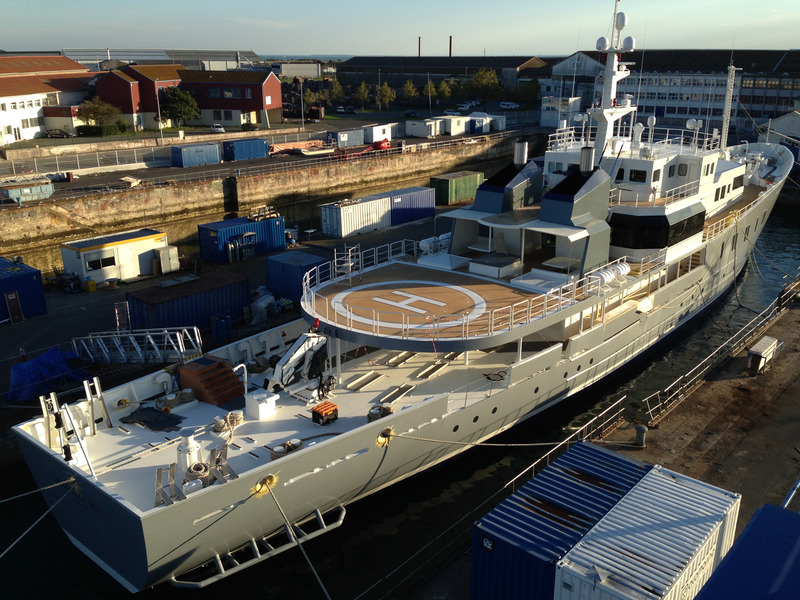 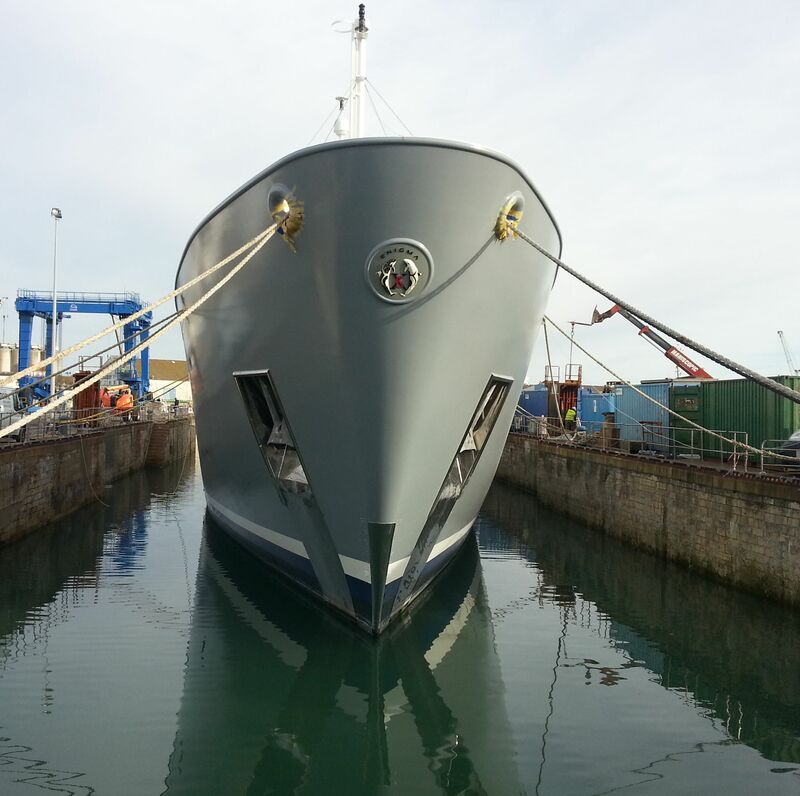 She was decommissioned in 2010 and converted into a striking super yacht, relaunched in 2014. 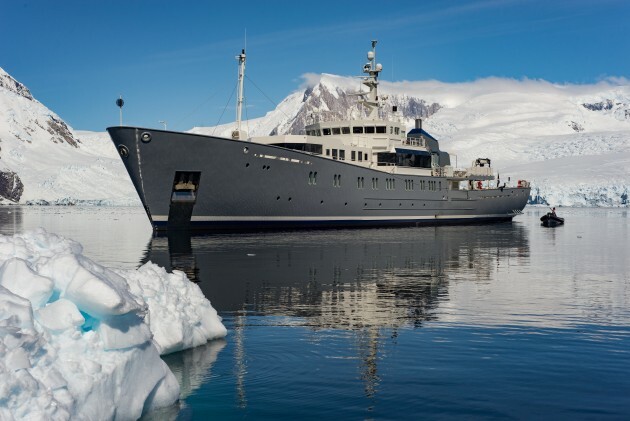 Naval architecture of the converted ENIGMA XK was the responsibility of McFarlane Ship Design, whereas Philippe Briand was in charge of her exterior, and Veerle Battiau, director of studio’s motor yacht division Vitruvius, was responsible for her exterior as well as interior. 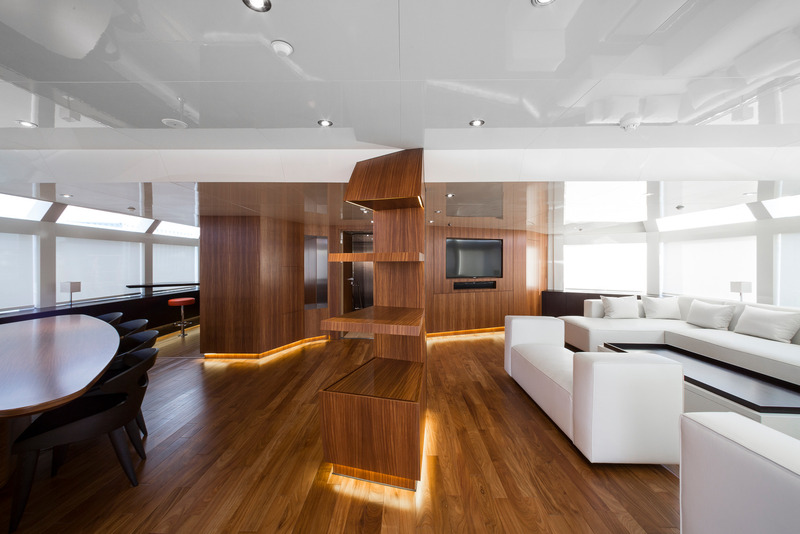 The structural changes were aimed at bringing as much light as possible into her interiors. 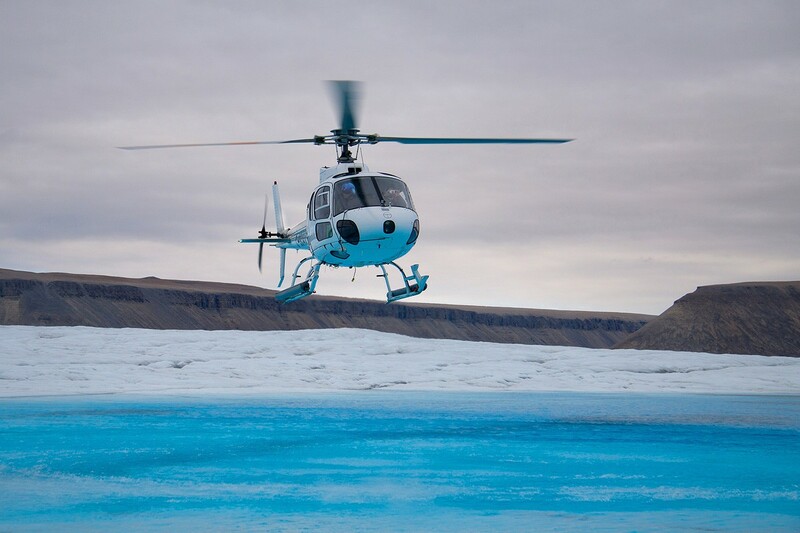 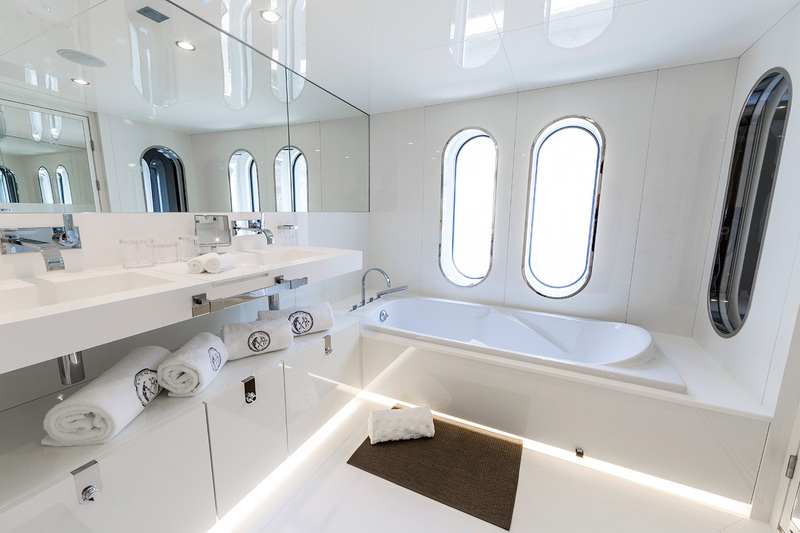 The portholes were enlarged, skylights added and a new upper deck saloon was created with wrap around windows. 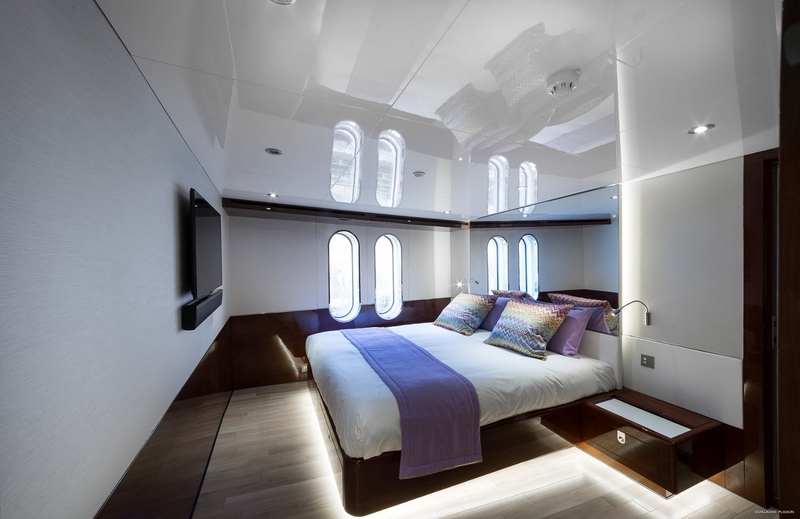 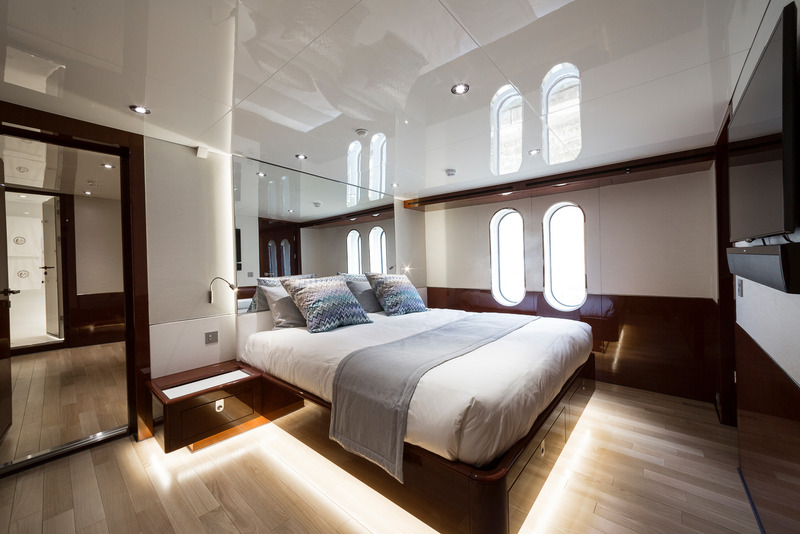 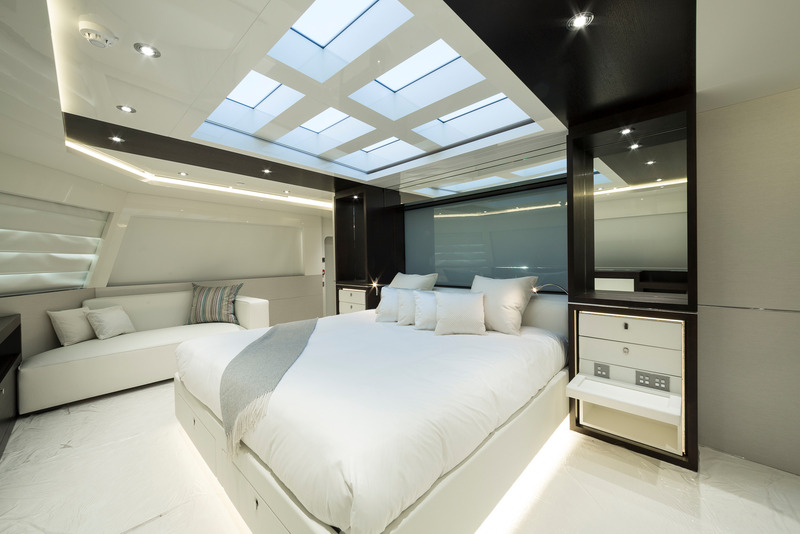 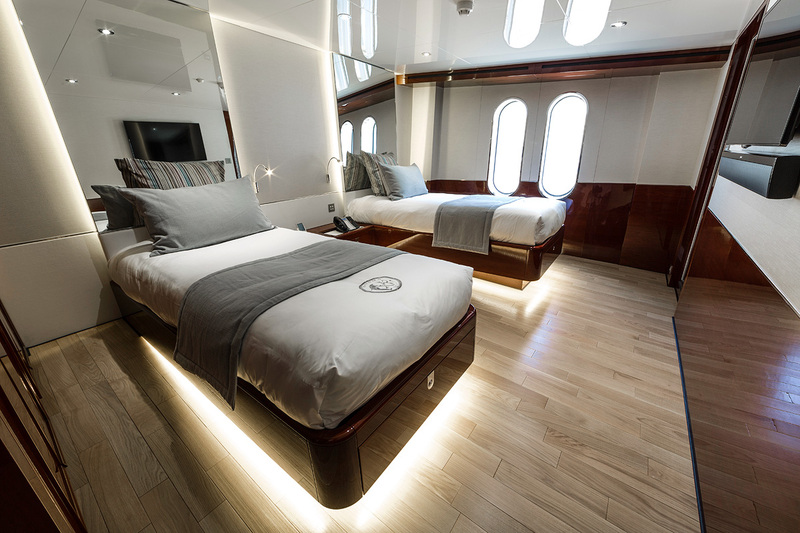 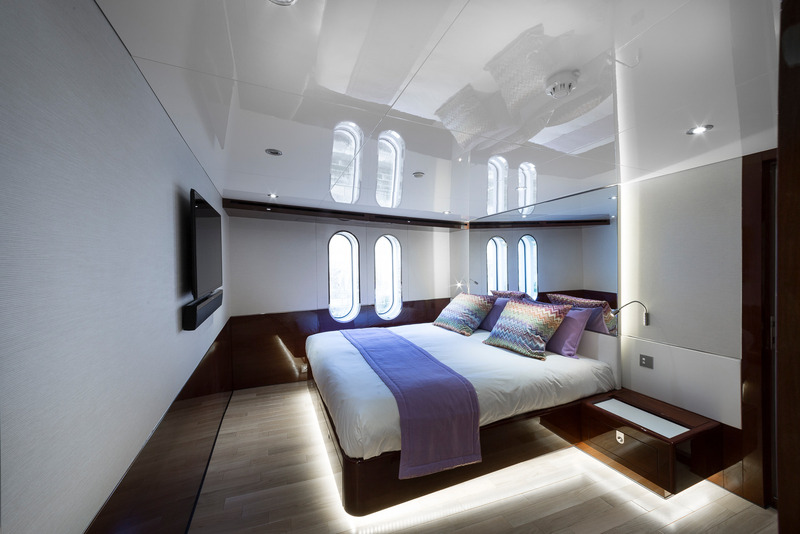 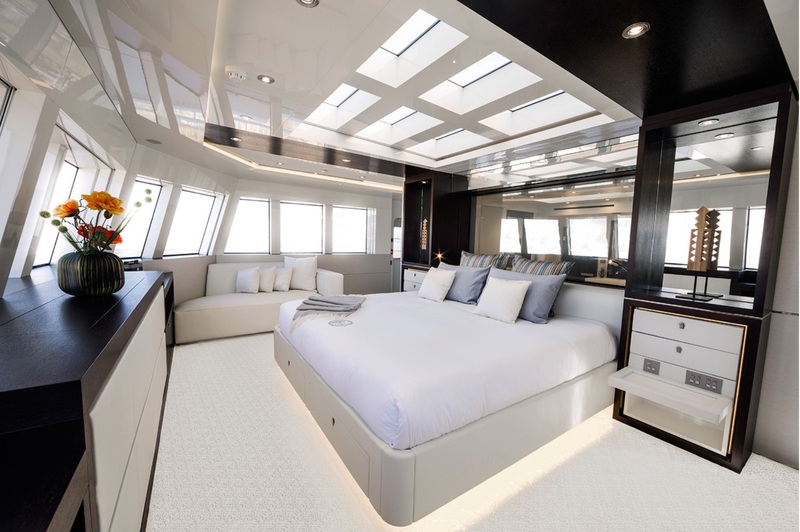 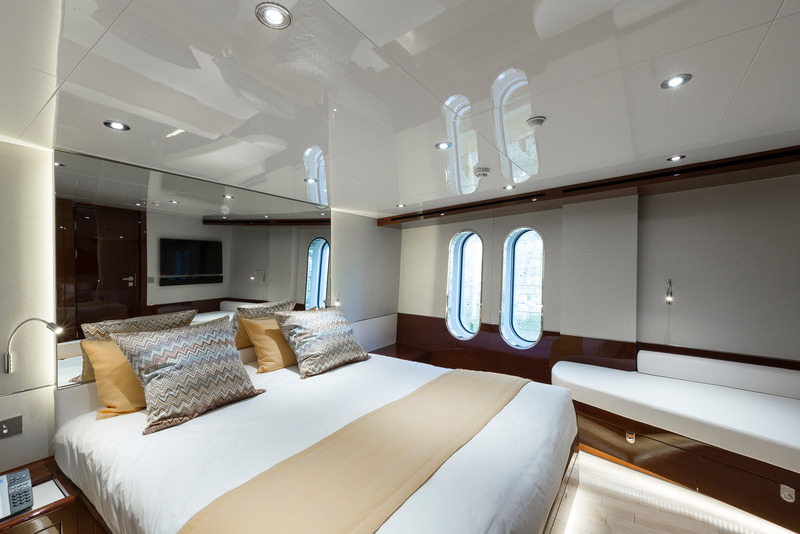 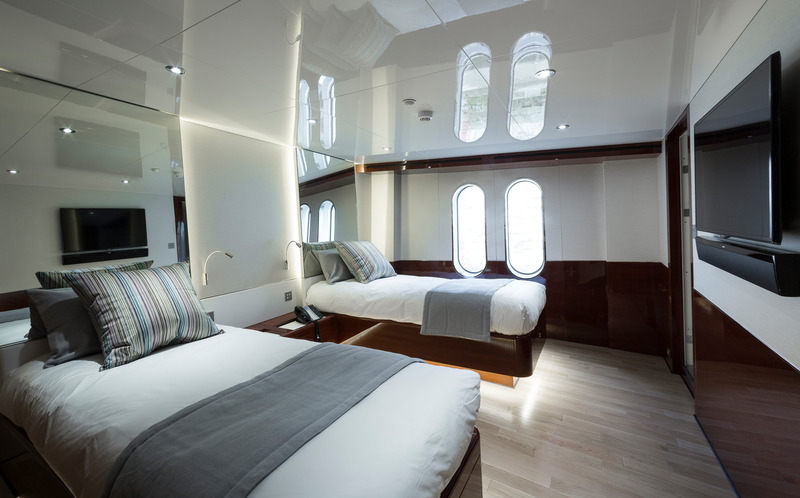 The master cabin is located forward of the upper saloon, boasting wraparound windows for plenty of light and brightness and a massive subdivided skylight above the bed. 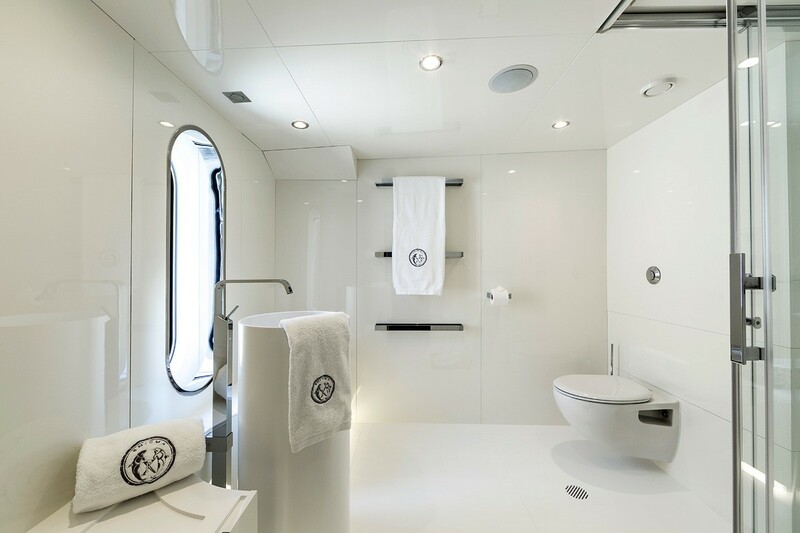 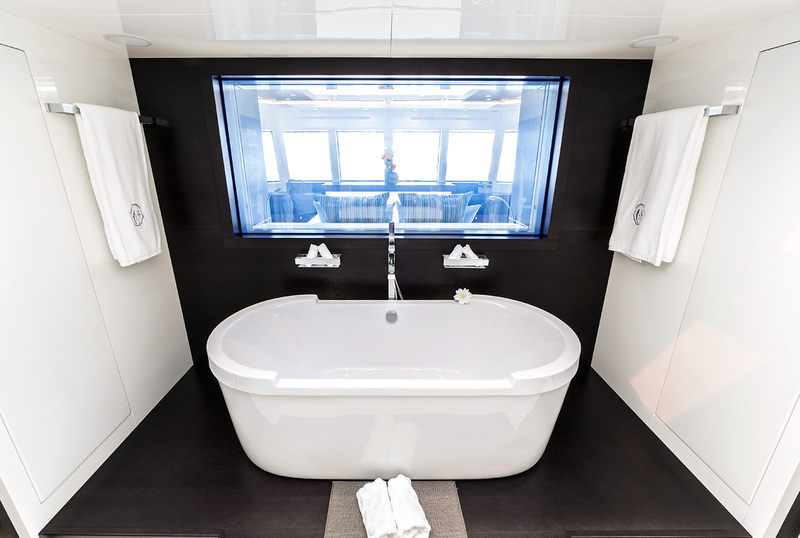 Aft, the ensuite features an elegant bathroom, with two sinks, hammam, and open shower. 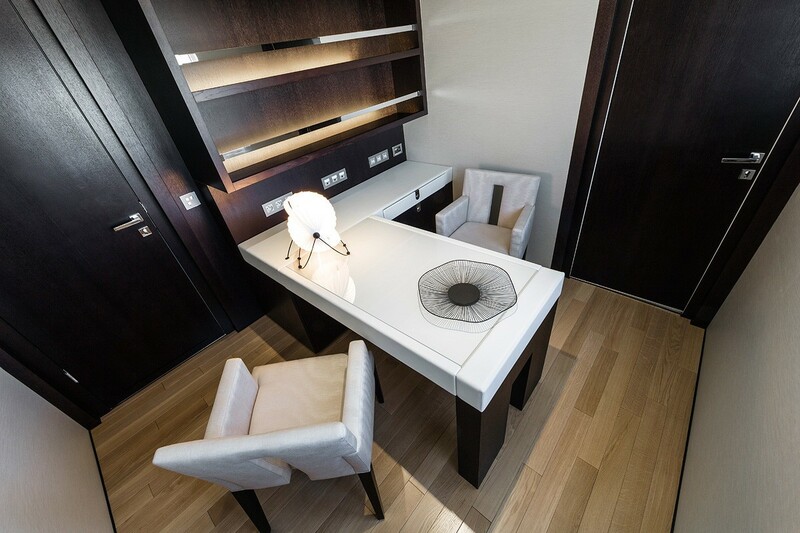 The master cabin also has a comfortable office located further back. The funnels situated to the rear of the upper saloon have been incorporated into the new design. 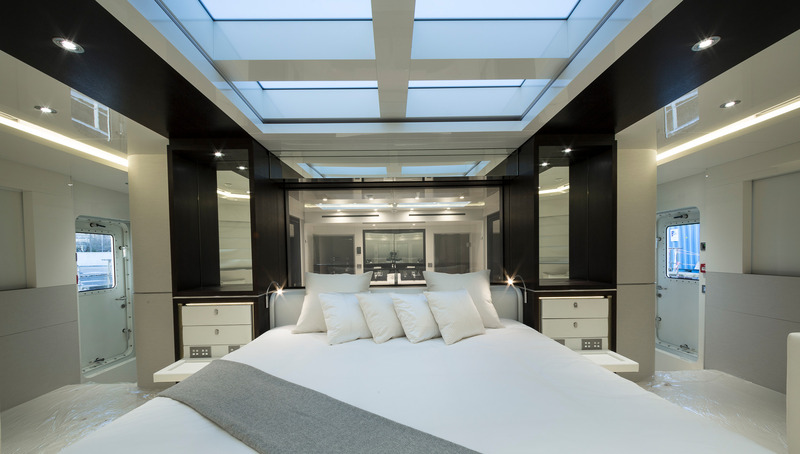 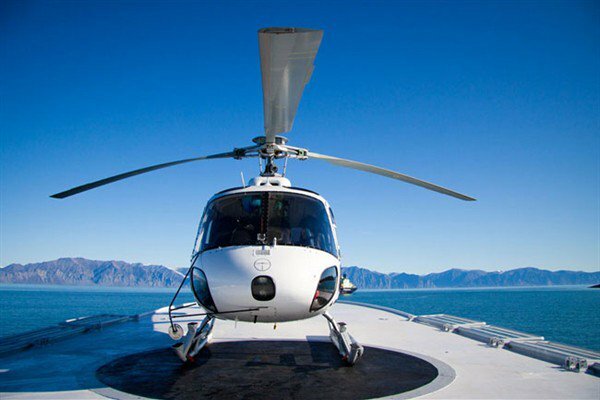 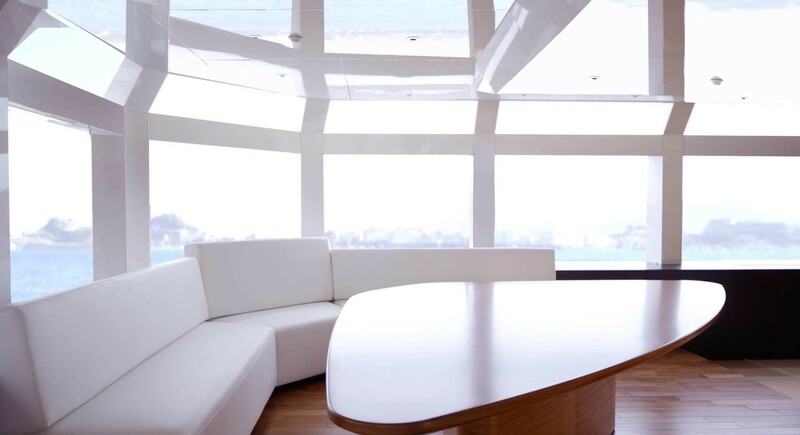 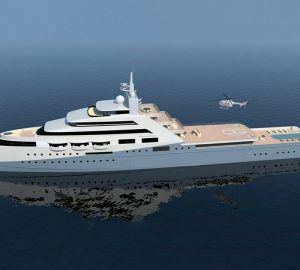 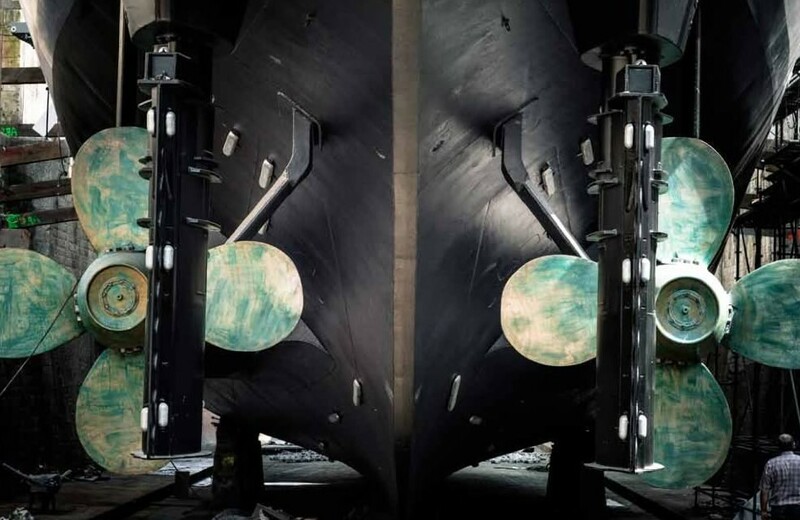 The promenade on the bridge deck joins the funnels and creates a roof, providing a vast shaded area, leading to the spa pool, as well as to the extended aft deck and the Heli-pad. 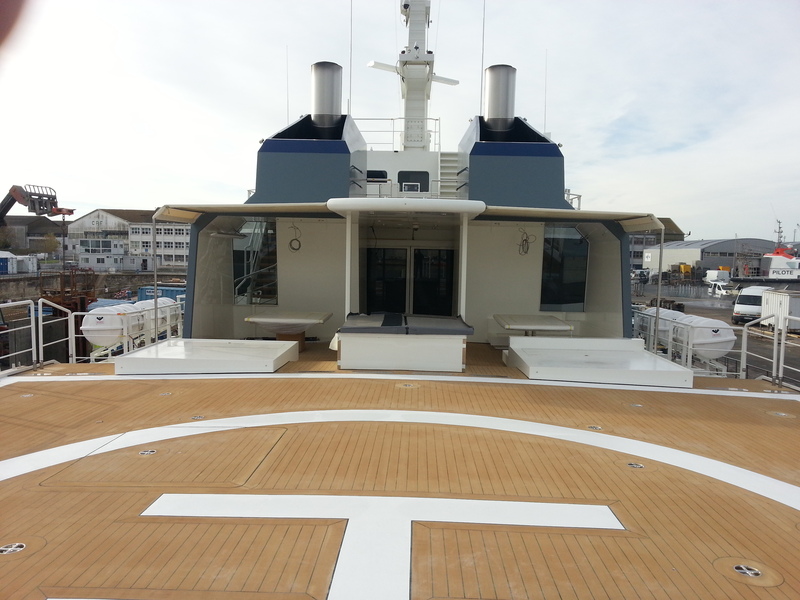 Two tenders can be launched from the main deck aft using cranes. 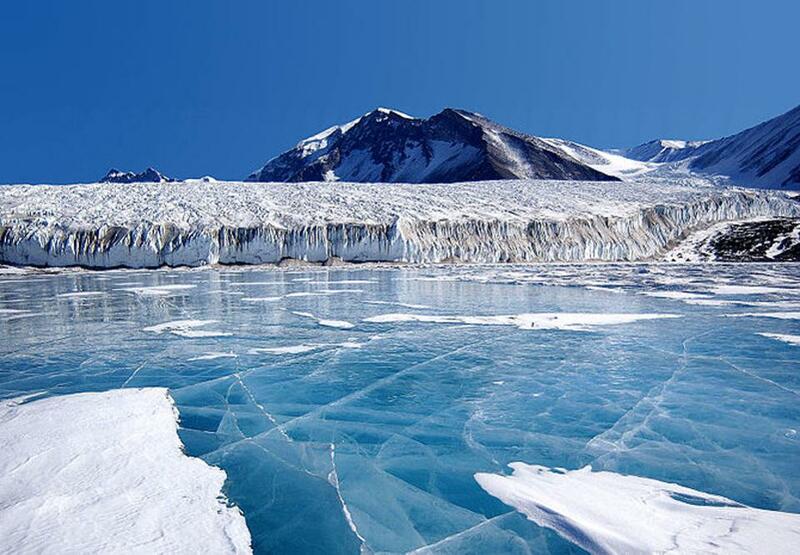 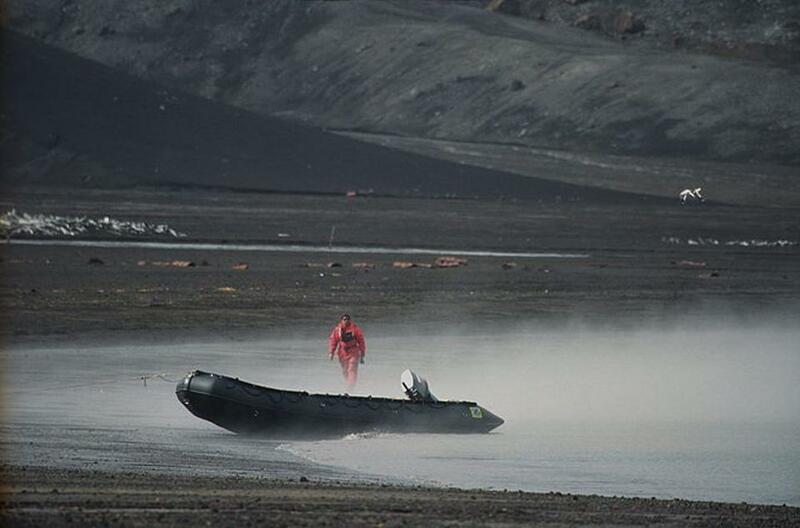 There are also two 4x4 vehicles accommodated in this area. 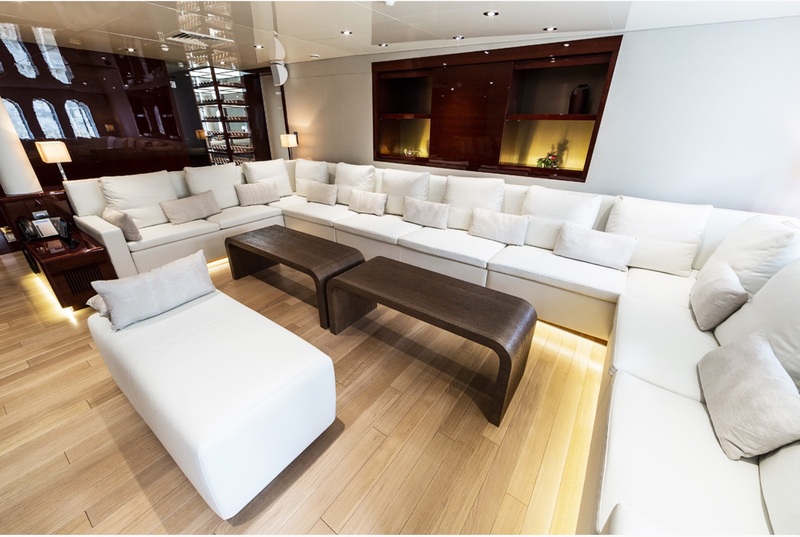 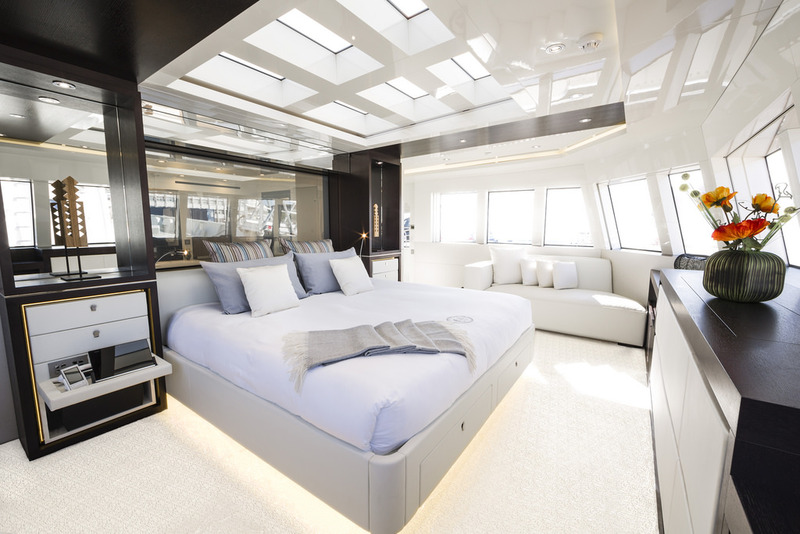 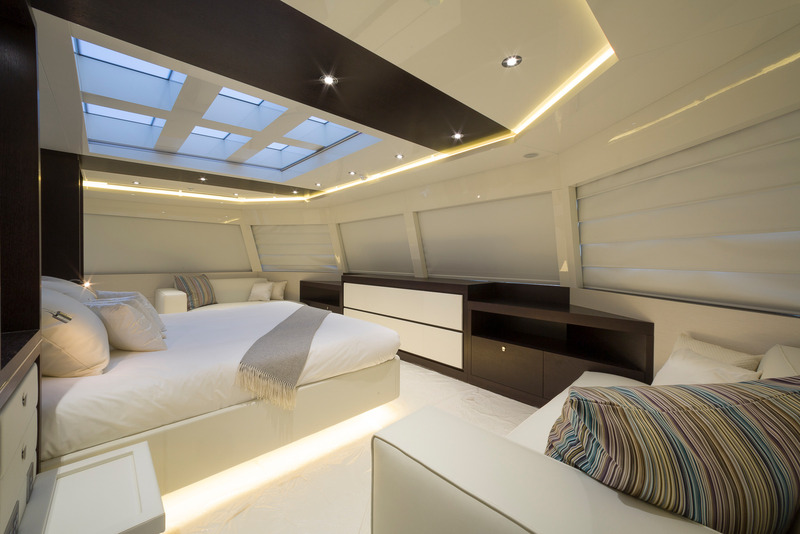 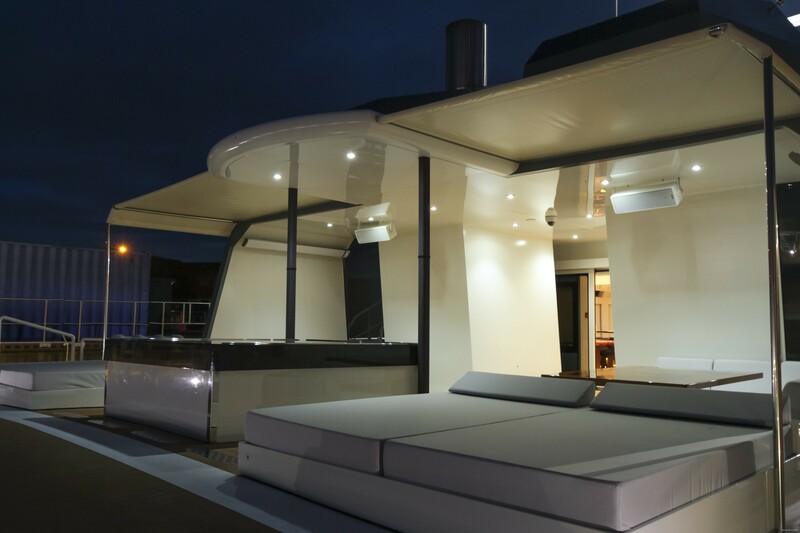 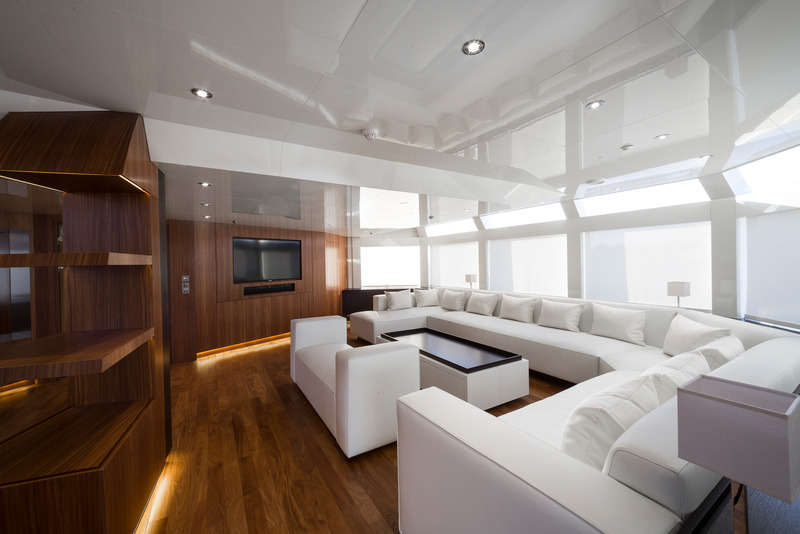 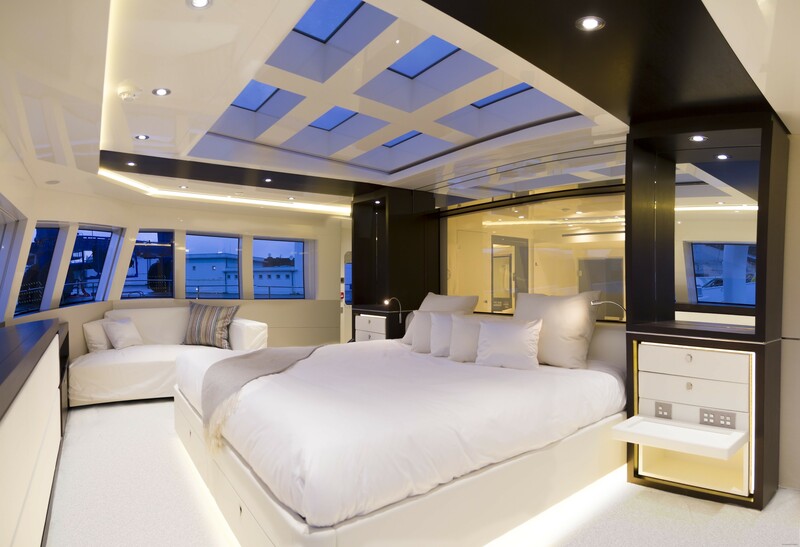 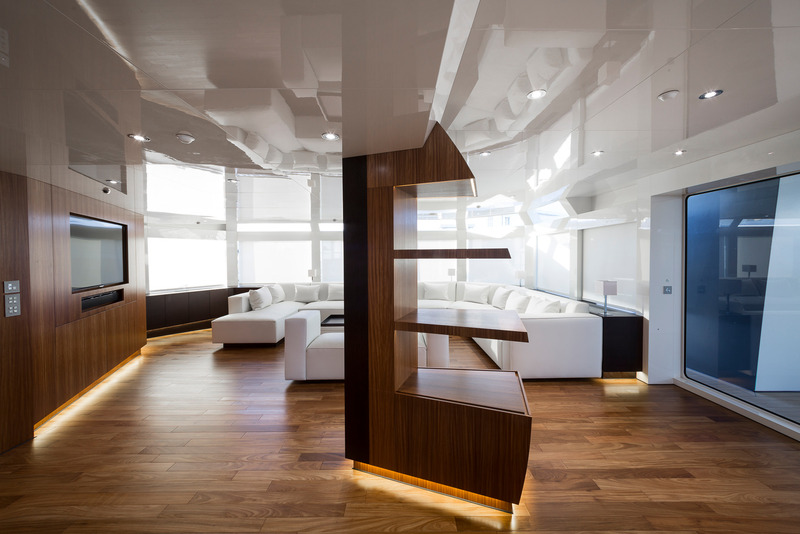 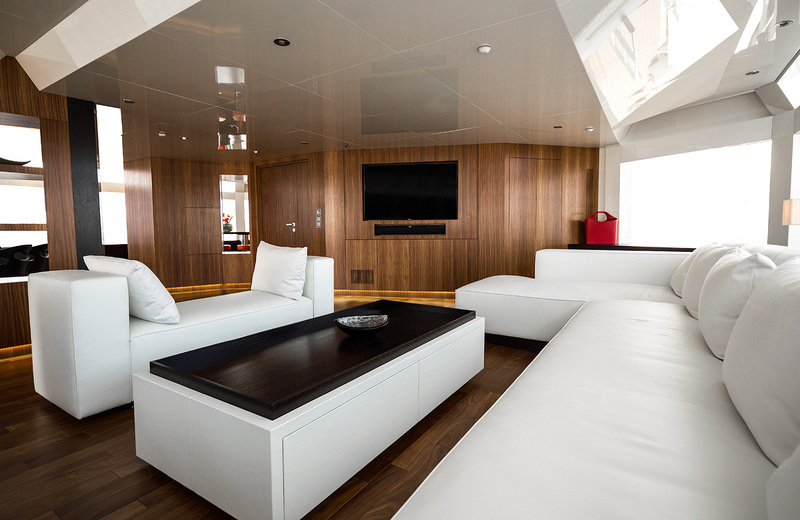 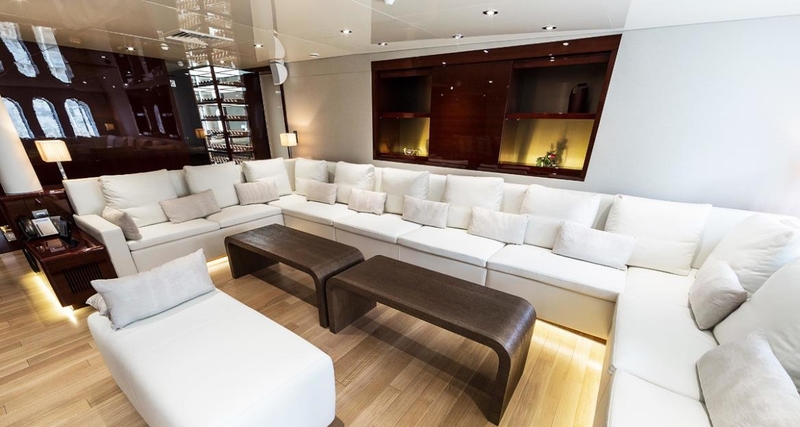 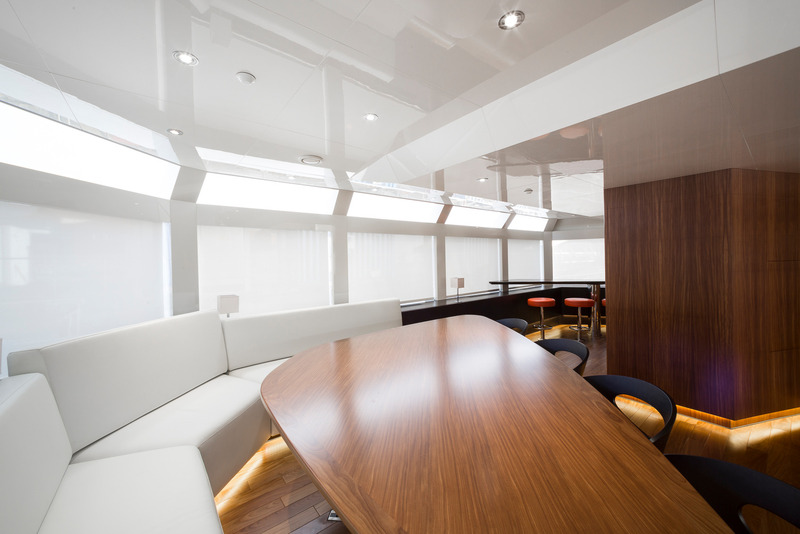 The decking is Bolidt Future Teak, a resin imitation teak used for environmental reasons, together with the low-consumption LED lighting used throughout the boat. 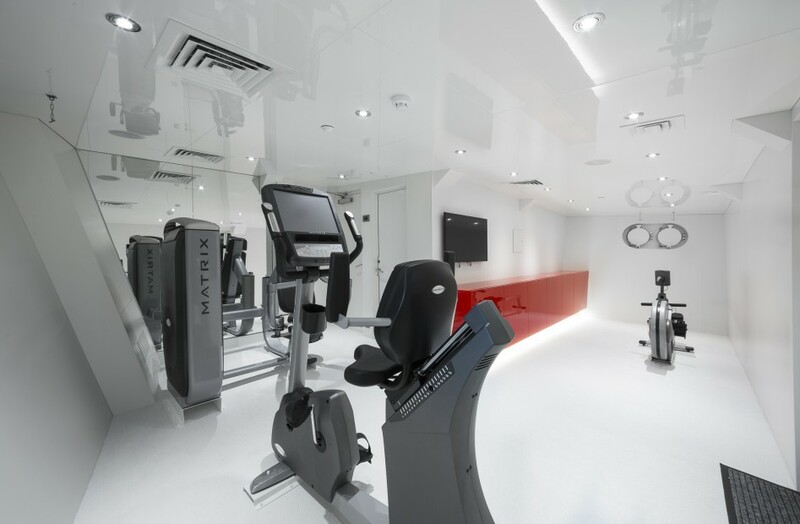 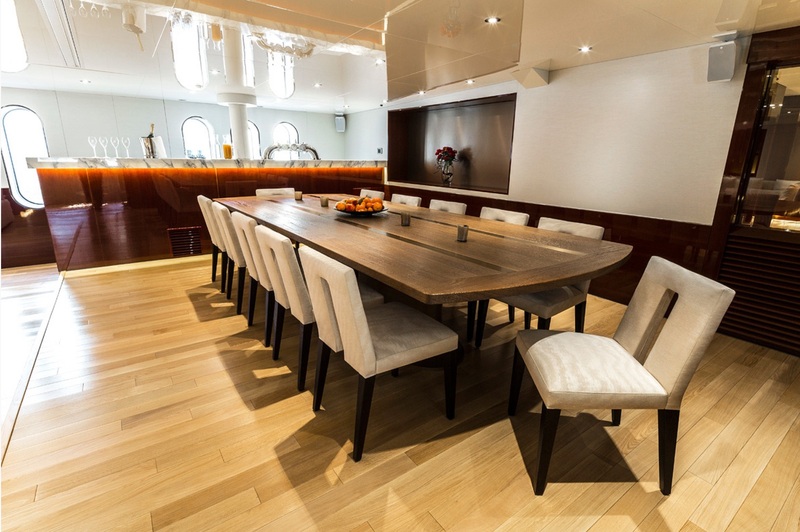 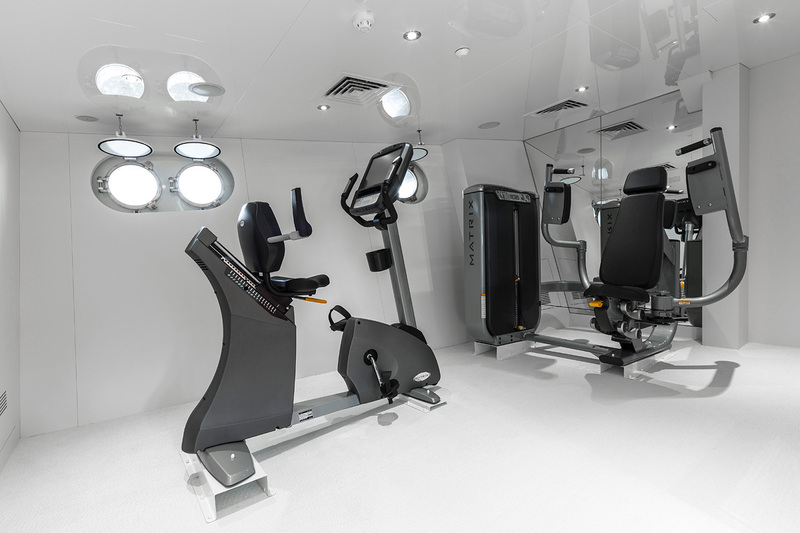 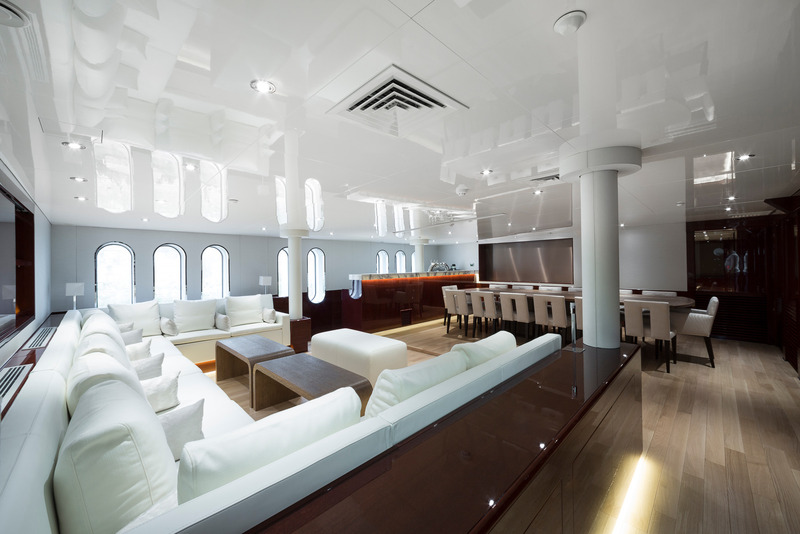 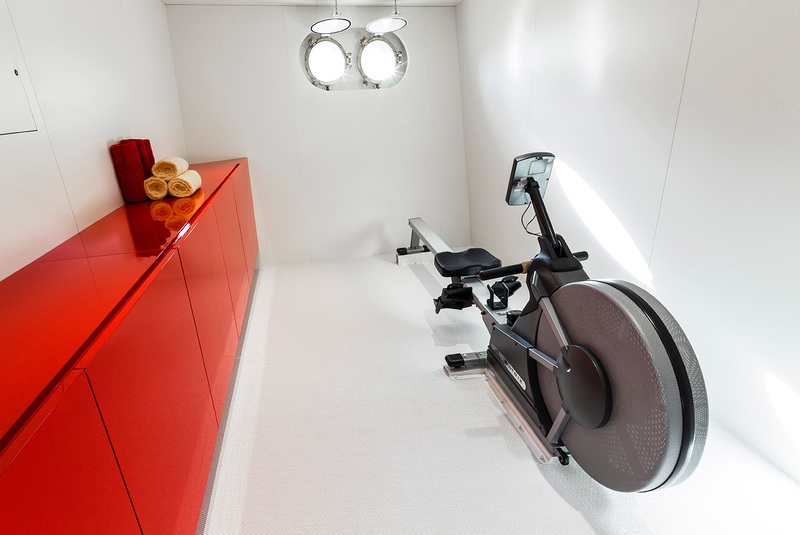 Guest accommodation and the dining saloon are found on the main deck, together with the gym/spa. 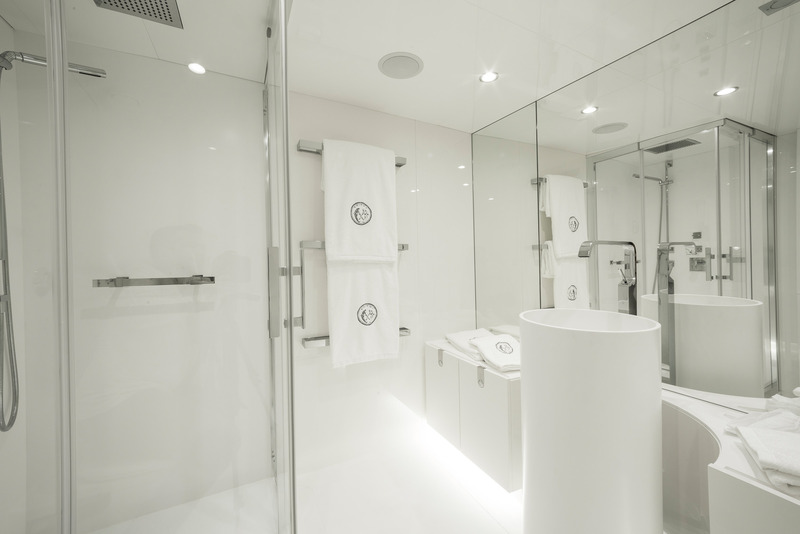 Each guest cabin is beautifully styled and themed for a particular continent. 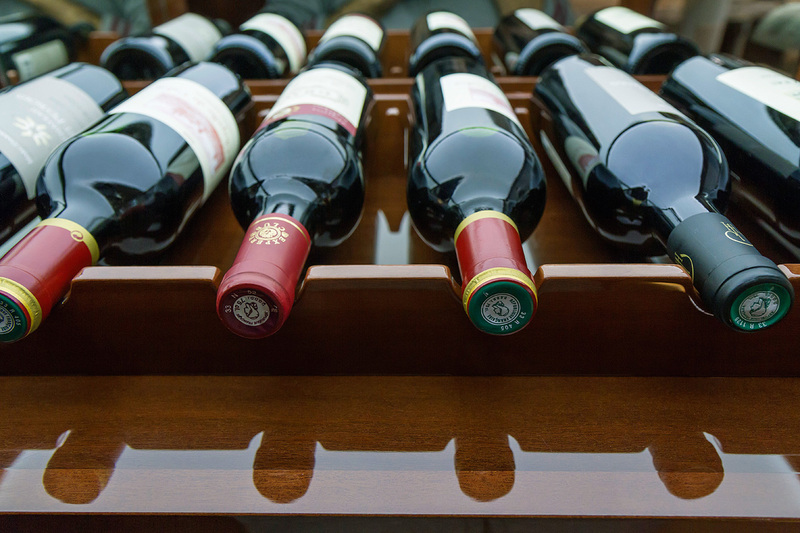 The main deck palette includes wine tones, bright berries, and browns. 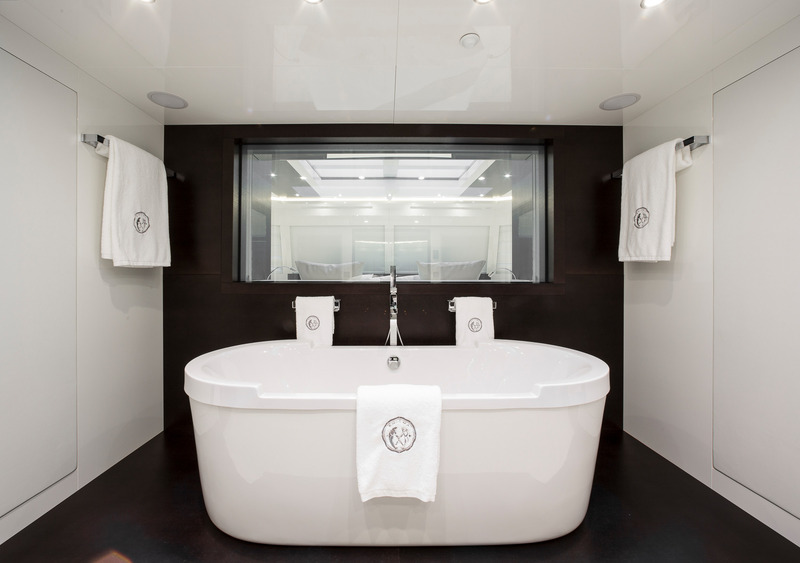 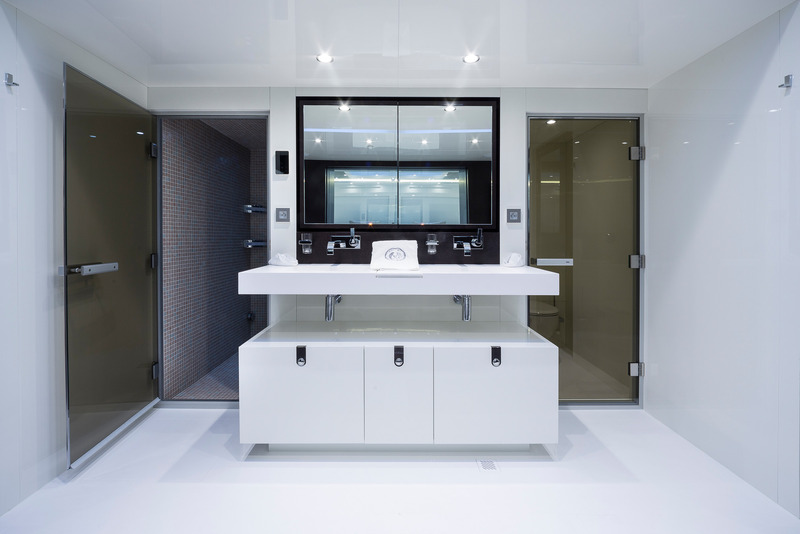 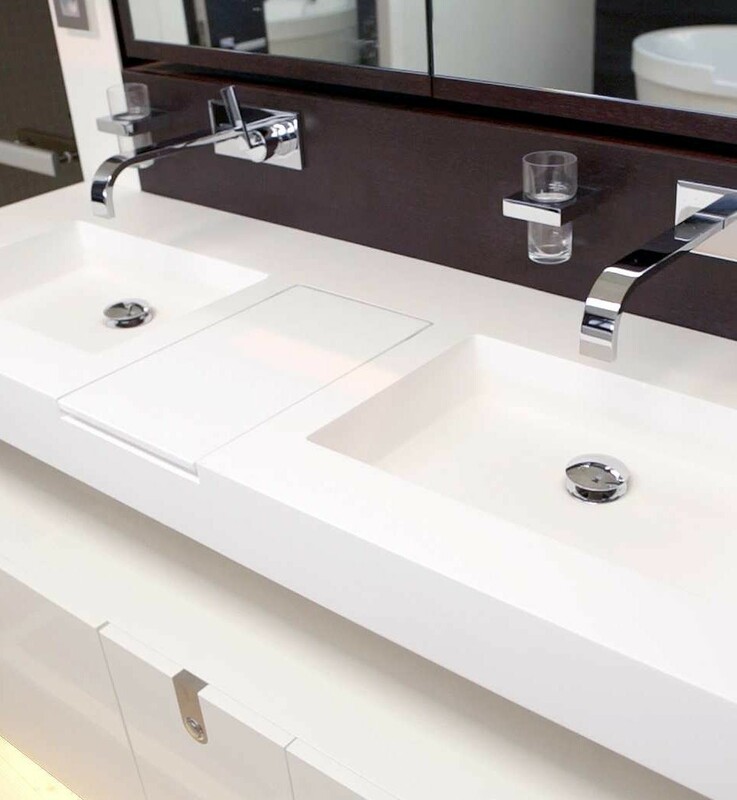 Contemporary elements were also integrated into the styling, such as white leather, mirrors, and modern en-suite bathrooms. 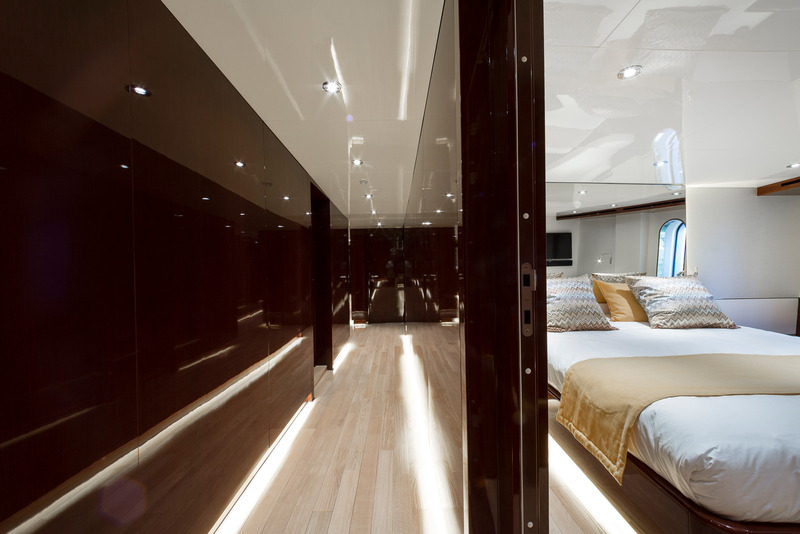 The upper saloon features taupes and moss greens as well as African woods. 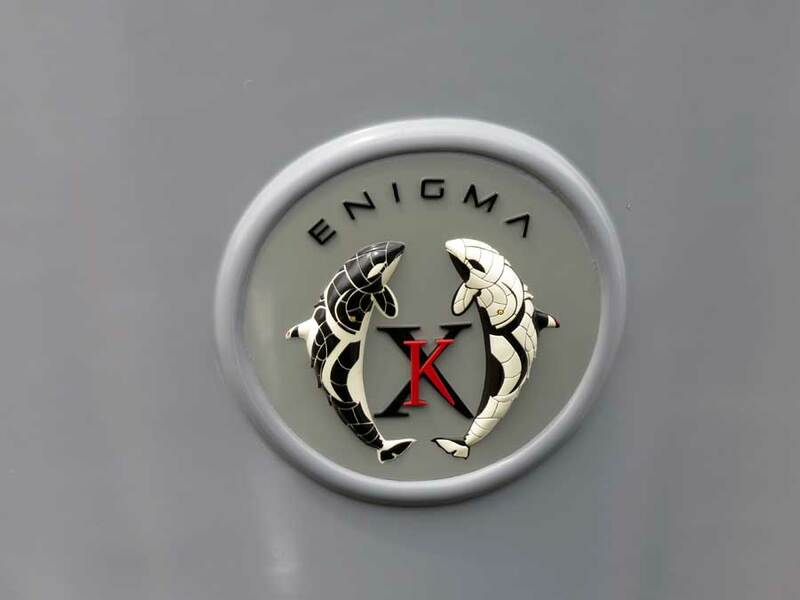 ENIGMA XK is a powerful, well-built vessel, fitted with two 3,000 hp engines powering her up to a speed of 18 knots. 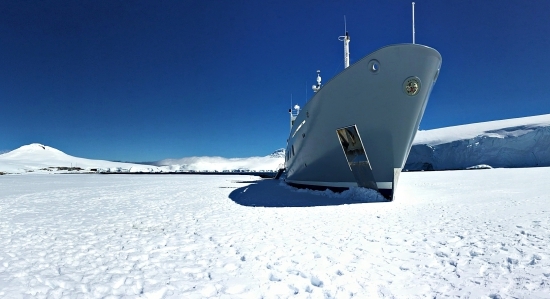 Her full tank capacity is 220 cubic meters, providing her with an impressive range of 19,000 kilometers at cruising speed. 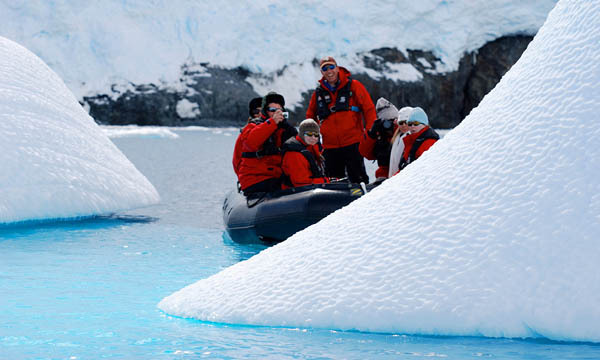 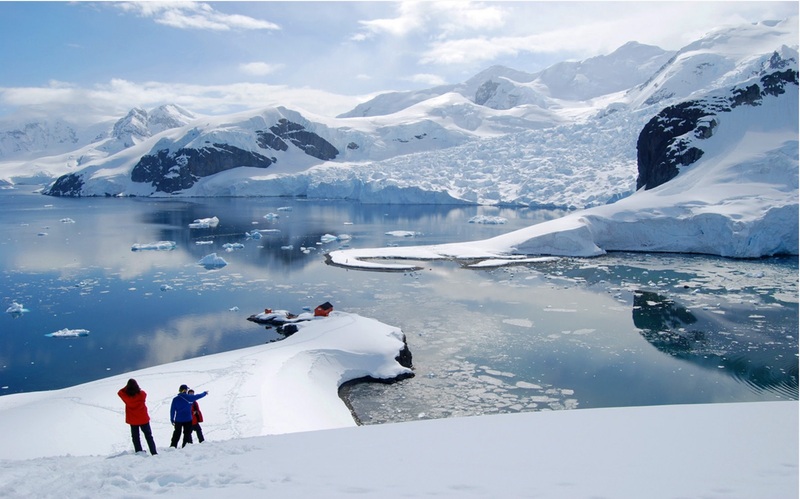 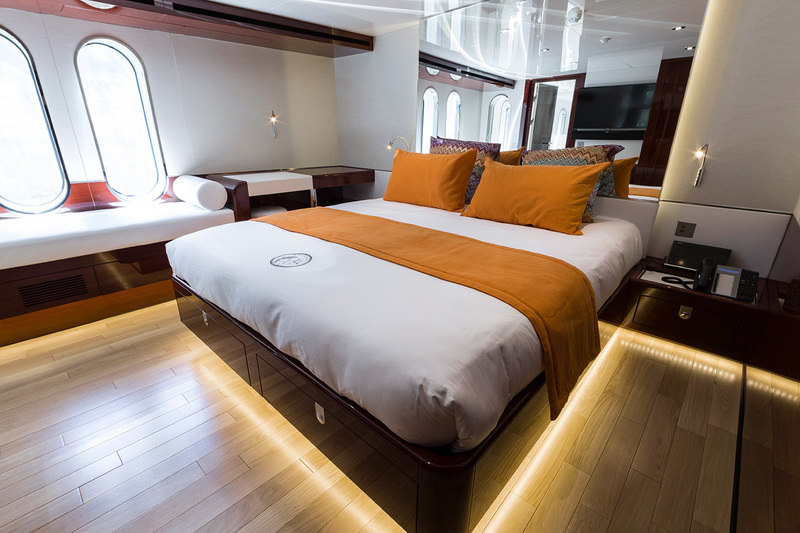 Accommodation on board is provided for up to twelve charter guests in six beautifully designed and well-appointed staterooms. 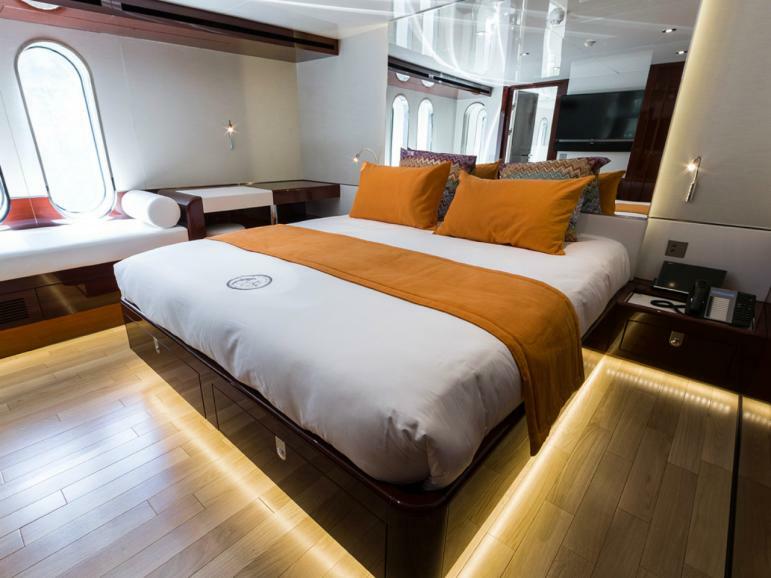 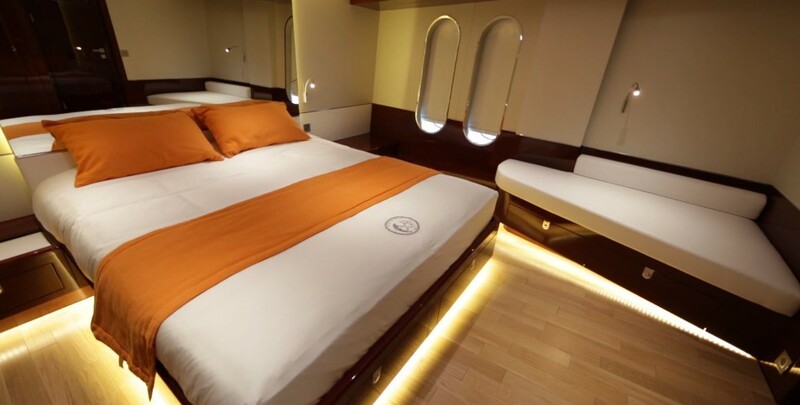 These include one spacious and deluxe master suite situated on the upper deck, two VIP staterooms on the main deck, two queen staterooms, also situated on the main deck, as well as one twin stateroom. 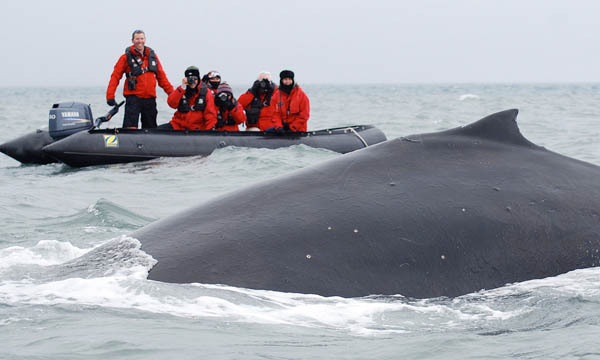 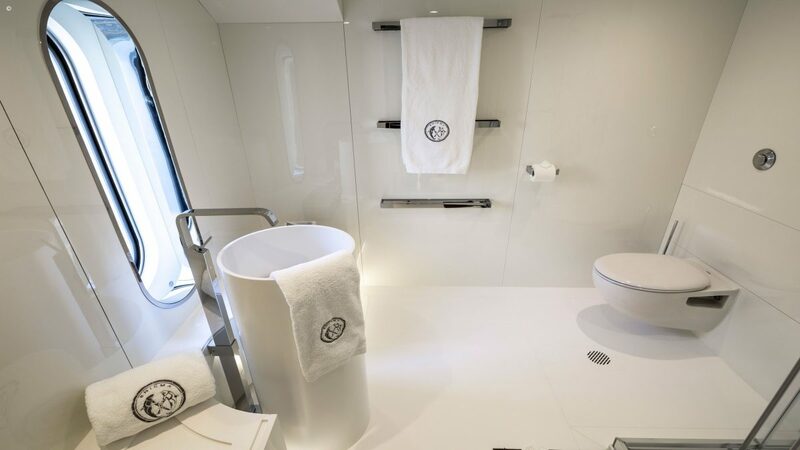 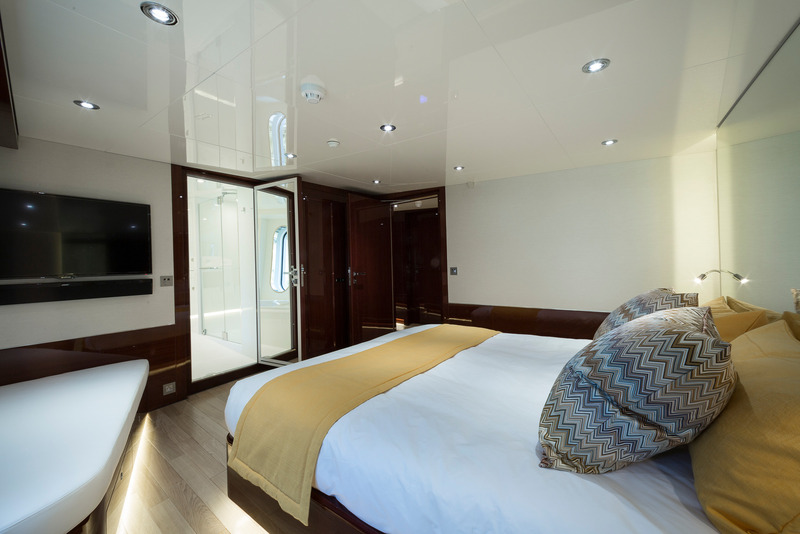 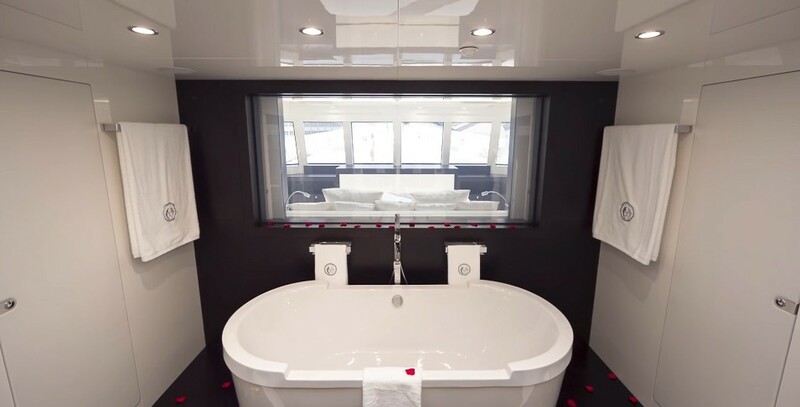 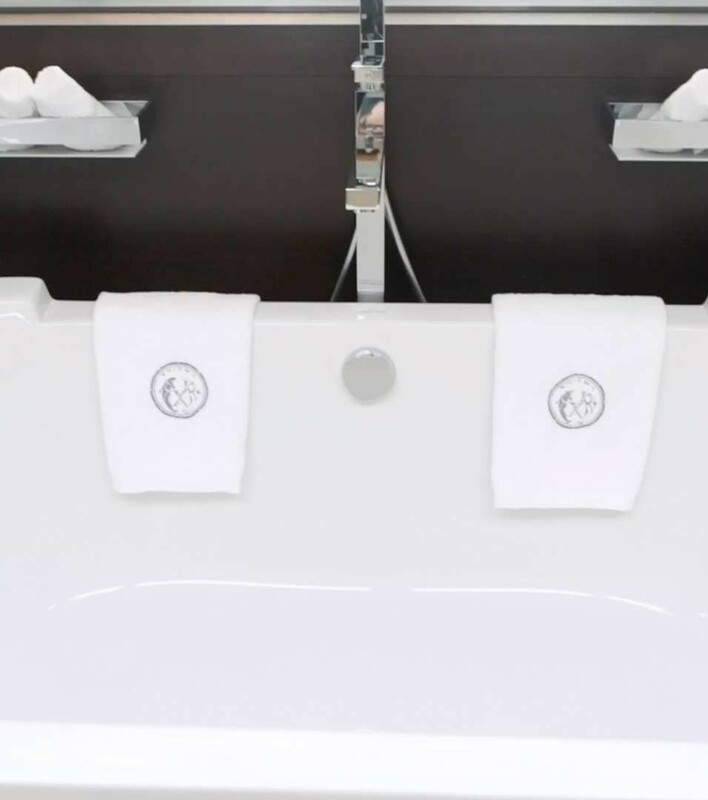 All staterooms have ensuite bathroom facilities and feature luxury linens and amenities. 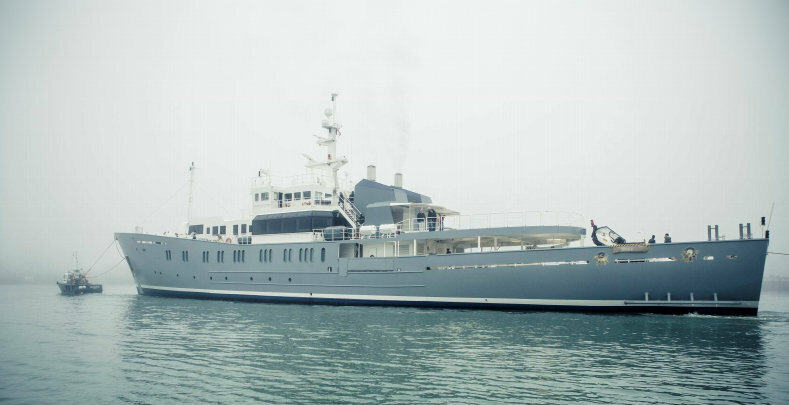 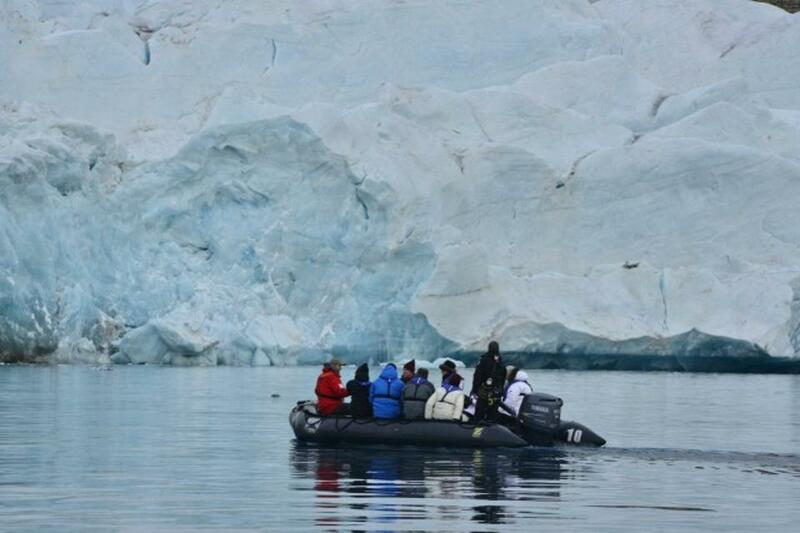 Water toys and tenders include one 9-metre Limo tender (twin Volkswagon 265 CV inboard engines), one 7.5-metre R.I.B tender (1 x Volkswagon 265 CV inboard engine), one 4.2 metre rescue tender with 40hp 4-stroke outboard engine , two MK IV HD Zodiac tenders with 40hp 4-stroke outboard engine, two Jeep Wrangler Unlimited (Hemi V8 engine), two Seadoo wave runners (GTX Limited IS 260), two Seadoo wave runners (RXPX 260 RS), SCUBA diving equipment and dive compressor, Snorkelling equipment, Water skis, wake board, various tow toys, inflatable pontoons / marina, anti-jellyfish swimming enclosure.